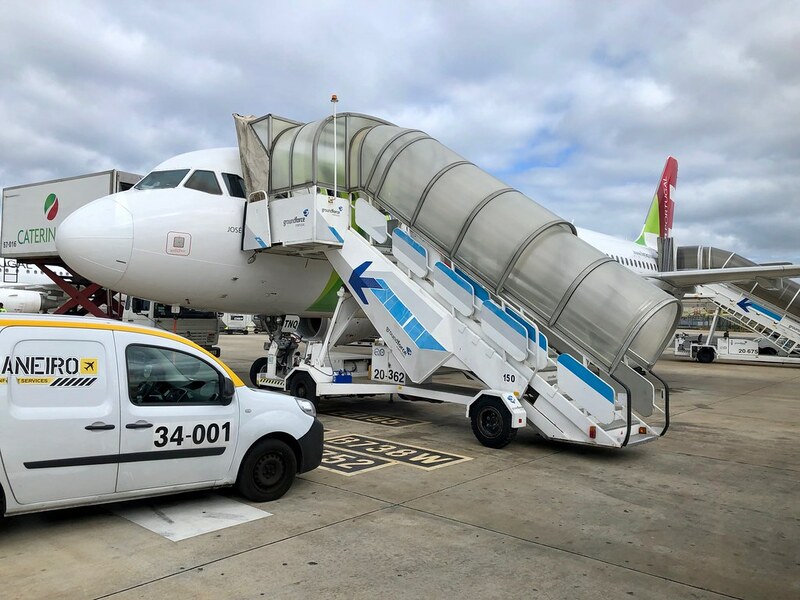 ...and were bussed to the terminal from a remote stand. 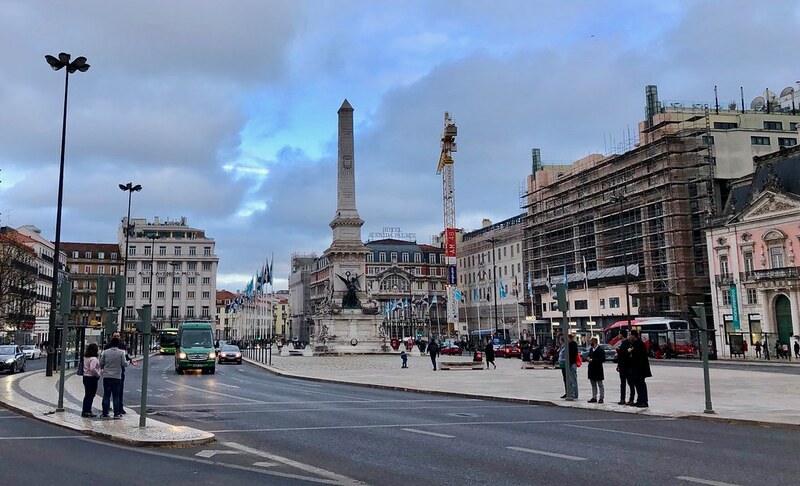 This first day in Lisbon was the only day that week with any grey in the sky. 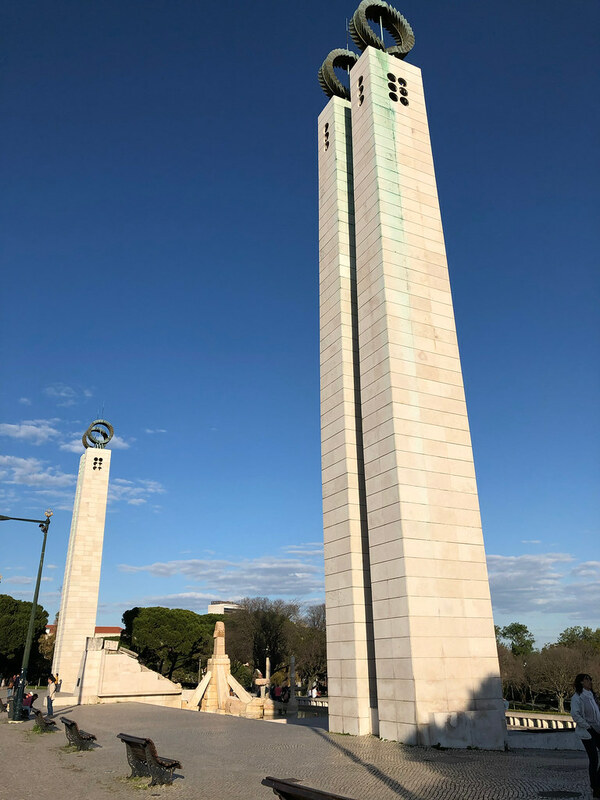 For the rest of the week, we had perfect weather, with clear blue skies and mild, cool temperatures. 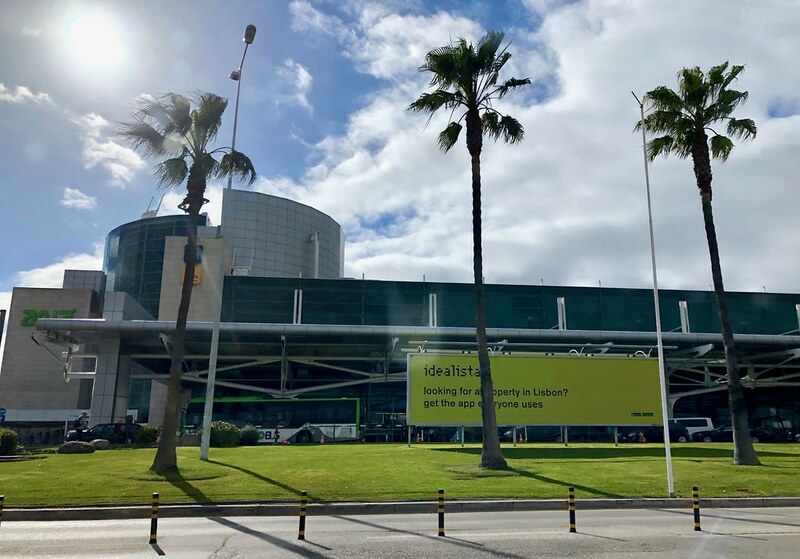 A view of the large Airport Terminal building from my taxi, as we headed to my hotel. 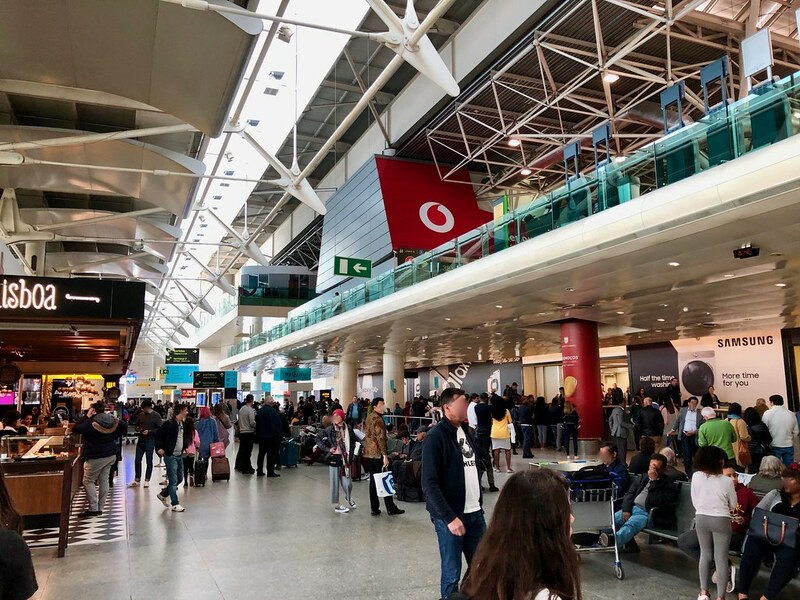 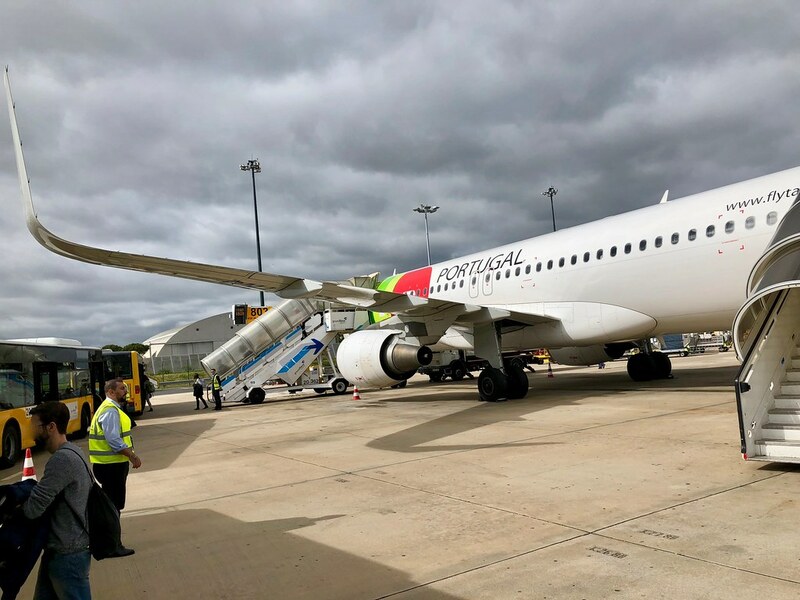 Lisbon Airport was located very close to the city centre -- closer than almost any major airport in any other city. 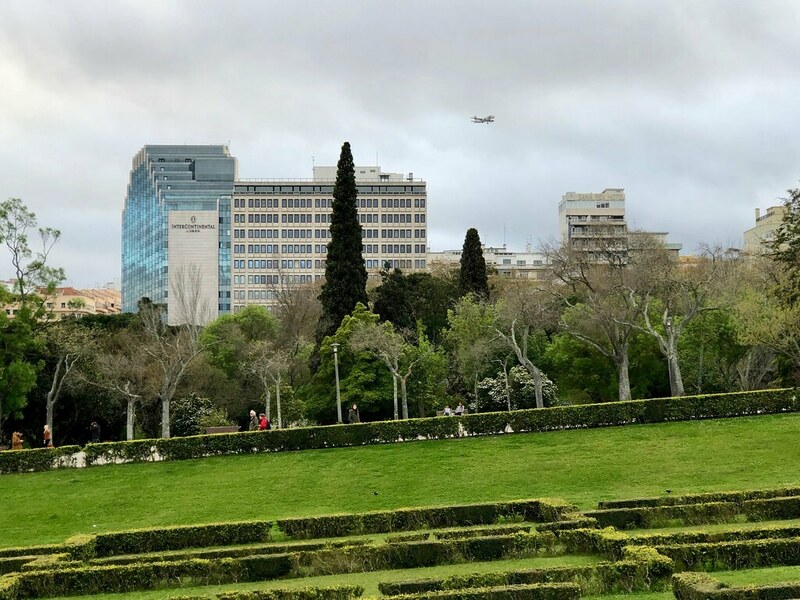 It was so close to the city that from anywhere in the city, you could often see aircraft on final approach to the airport. 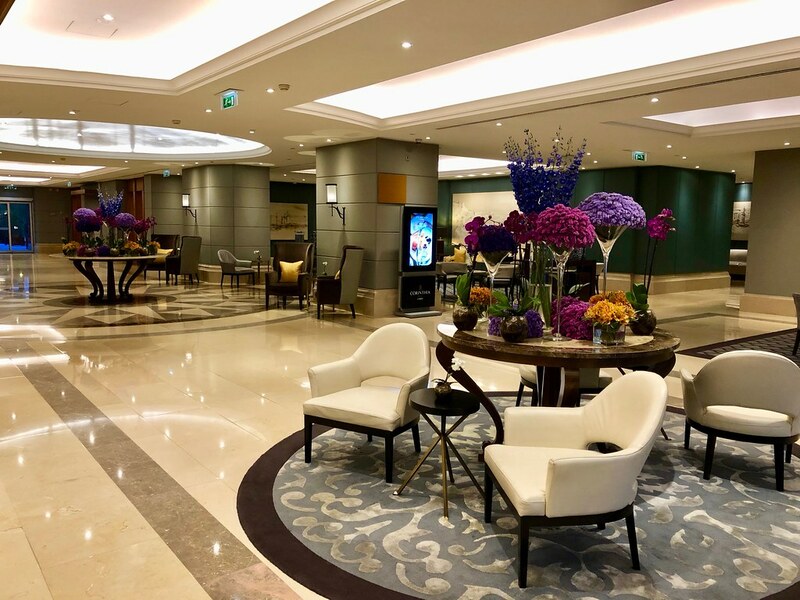 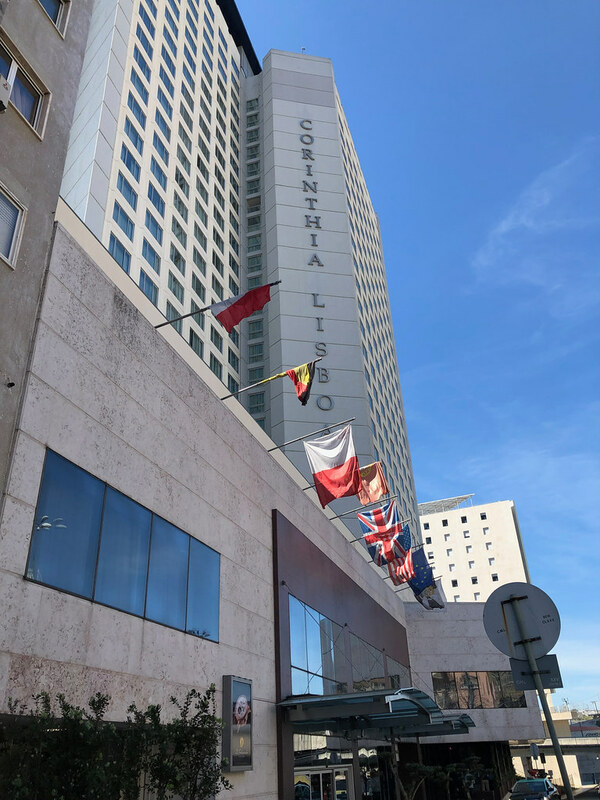 I was at my hotel, the Hotel Corinthia, in less than 20 minutes. 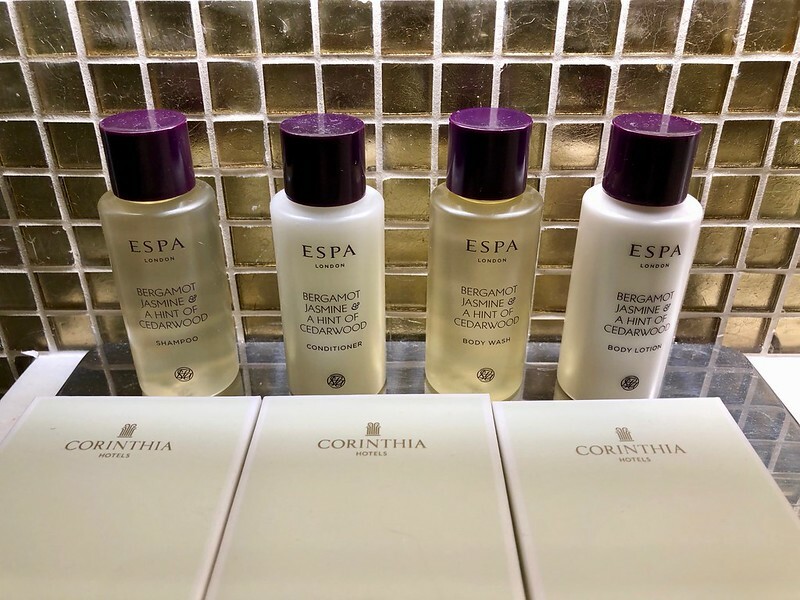 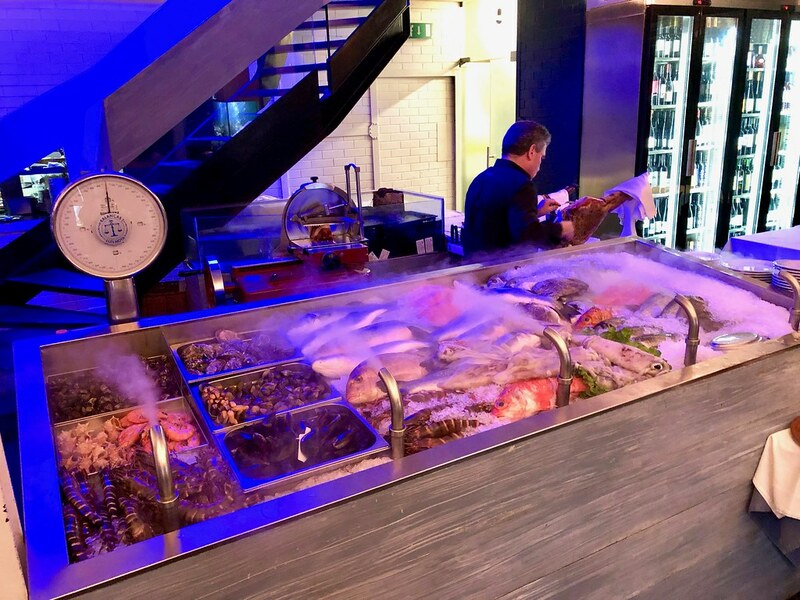 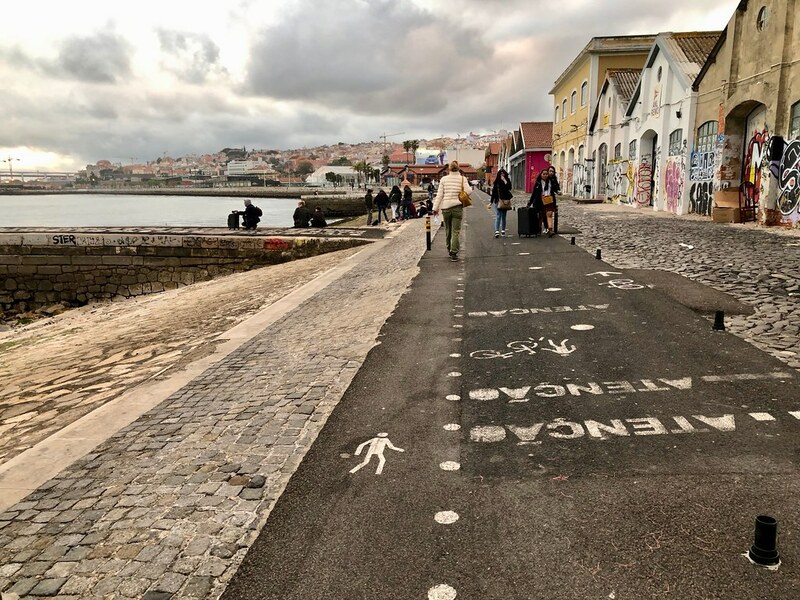 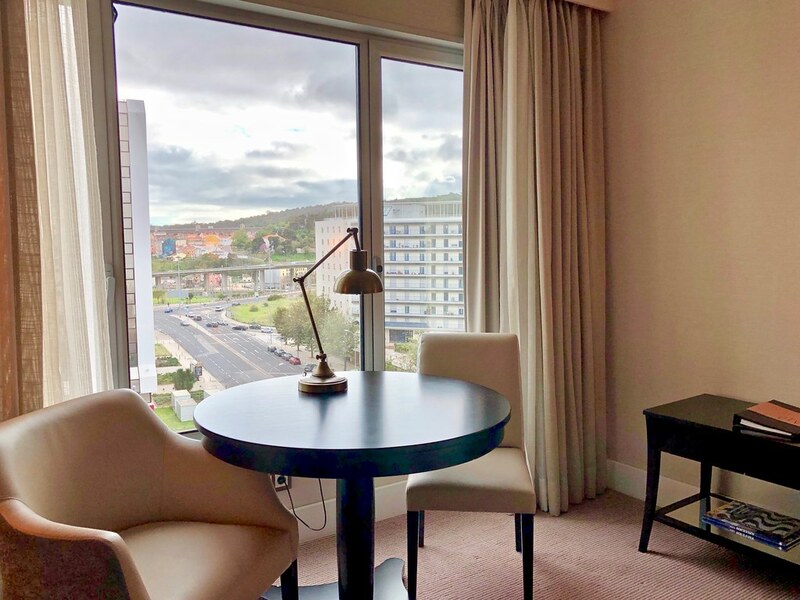 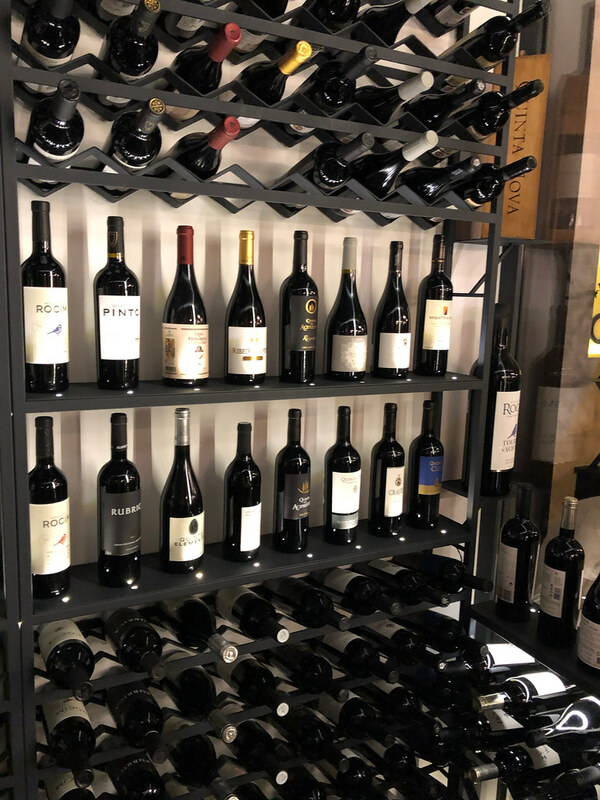 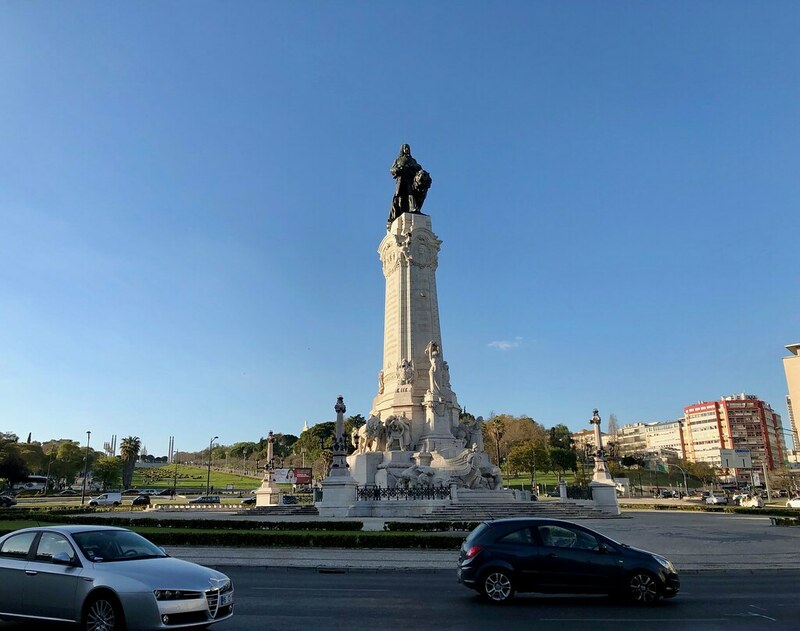 It is located about 3 km from the city centre, and 5+ km from Lisbon's Baixa and Tagus river front, along a street with many restaurants, as well as grocery shops and a small supermarket. 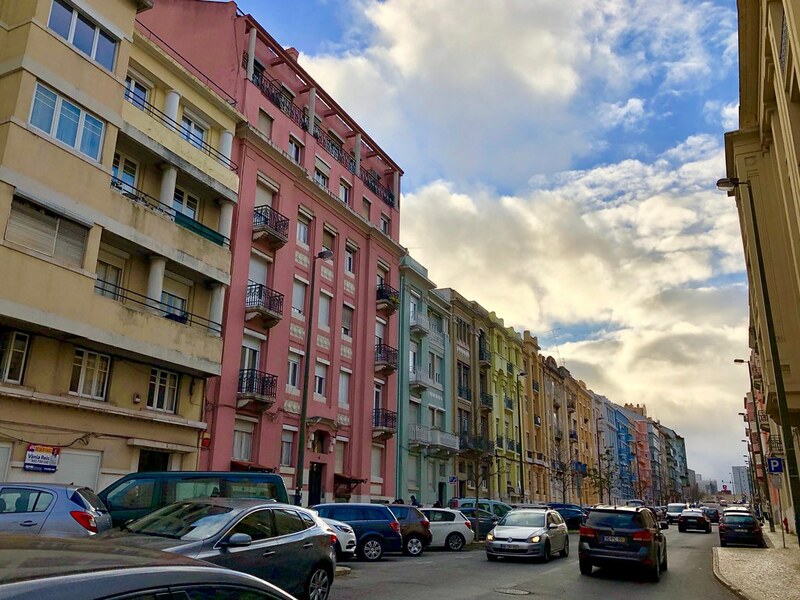 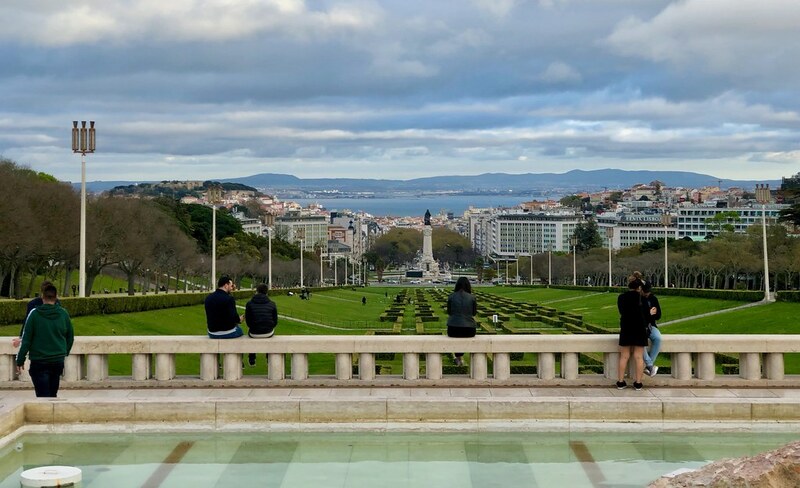 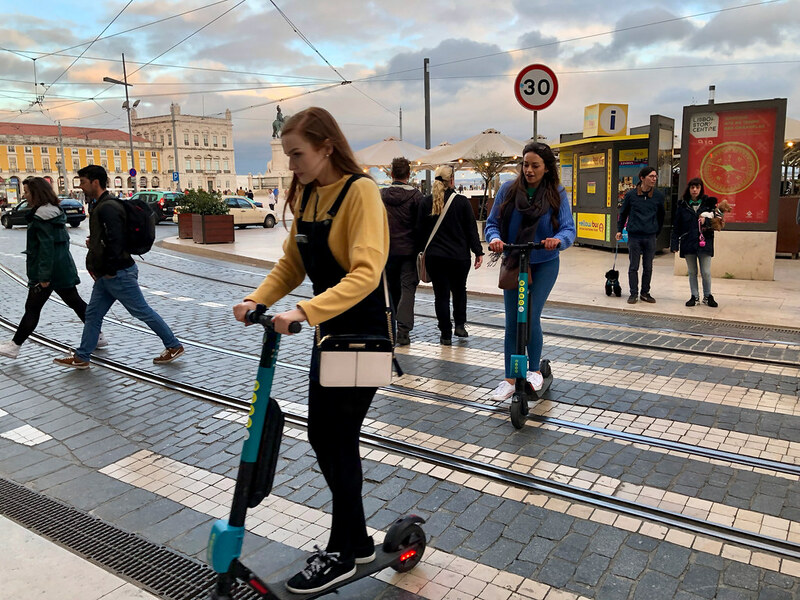 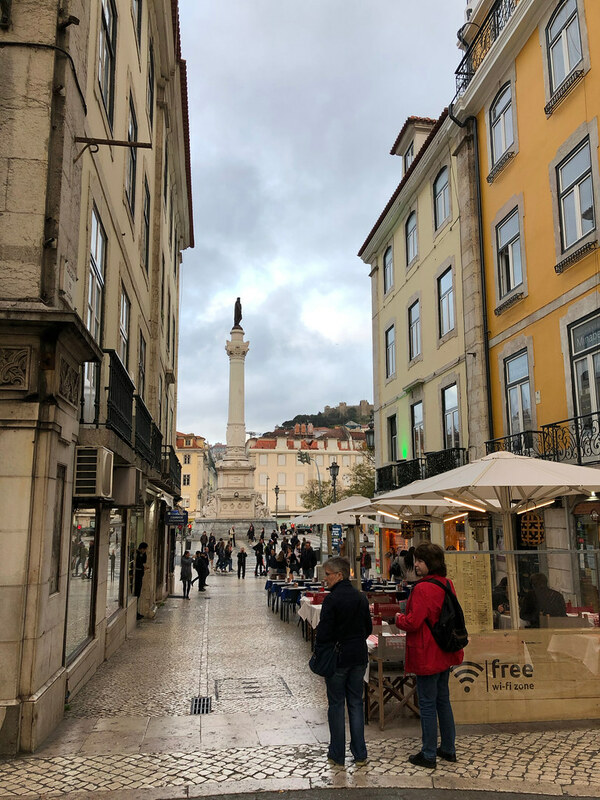 While not located in the heart of the attractions, it was a short and pleasant walk or run from the city, and in any case taxis in Lisbon were inexpensive and plentiful, so location-wise this was a perfectly good base to explore Lisbon. 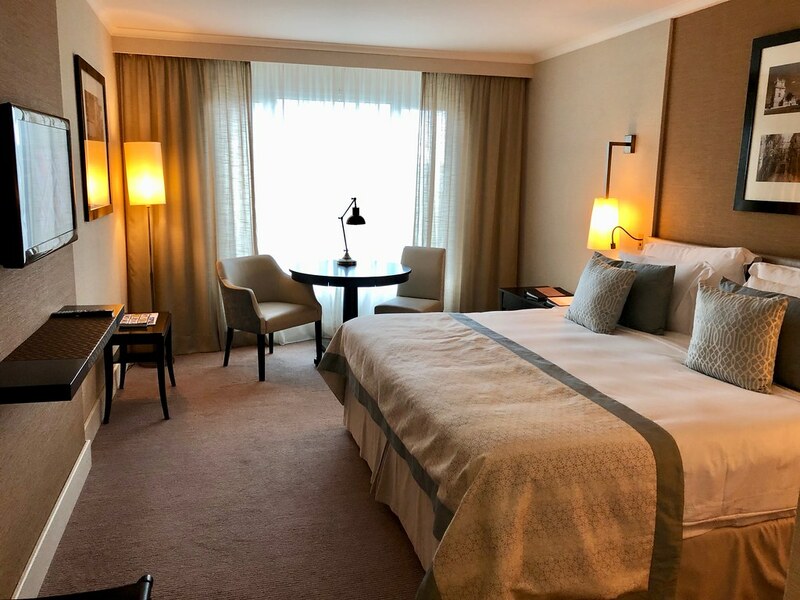 My room was spacious, new, and very well appointed. 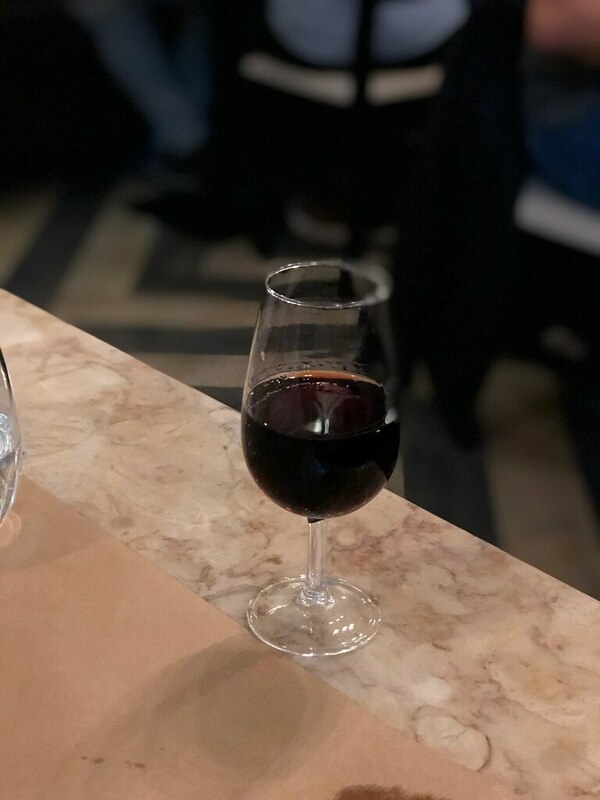 Last edited by yflyer; 7th April 2019 at 06:13 PM.. 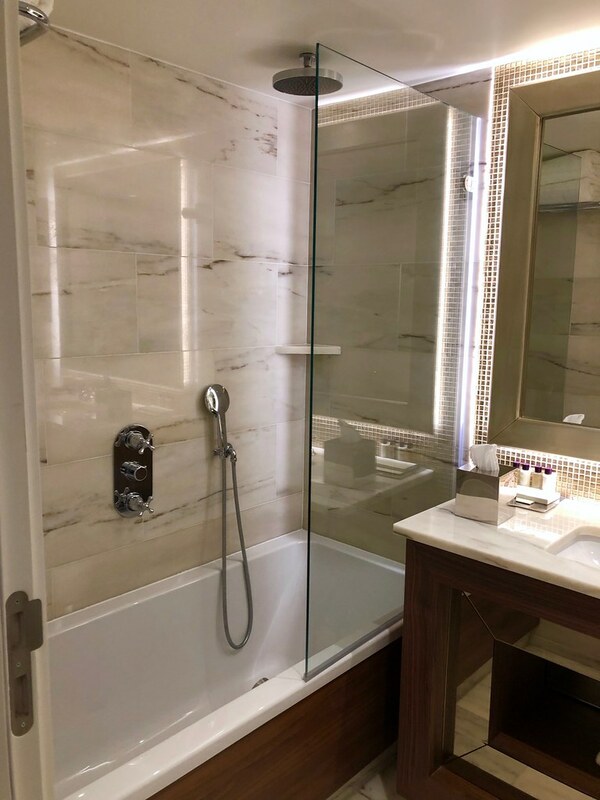 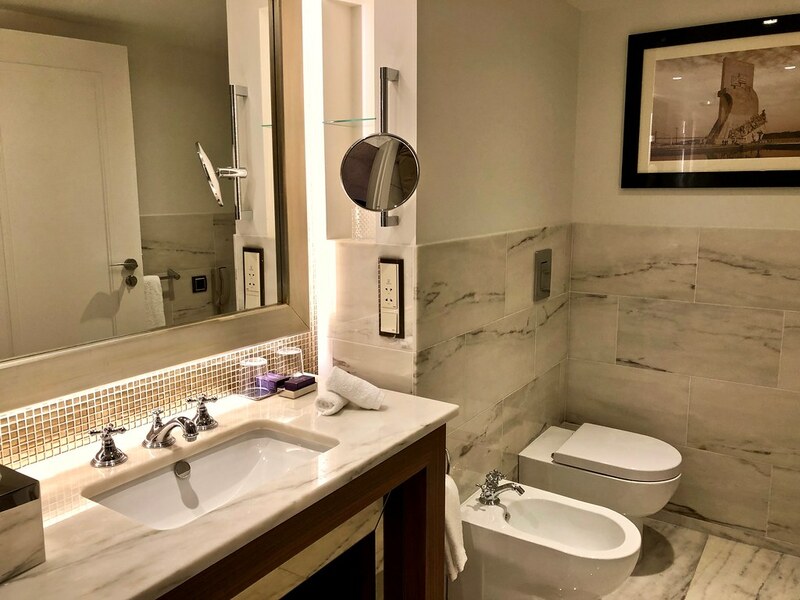 I don't often encounter bidets in hotels these days! 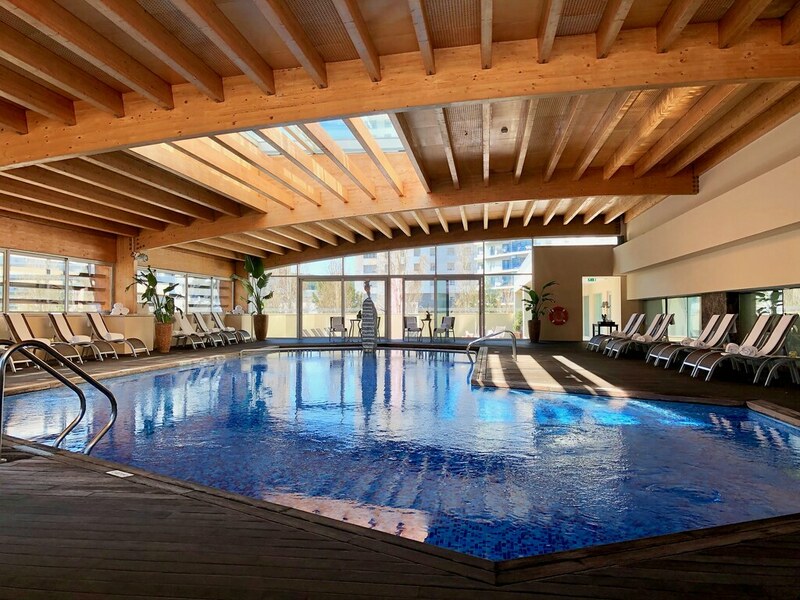 ...and a well equipped gym. 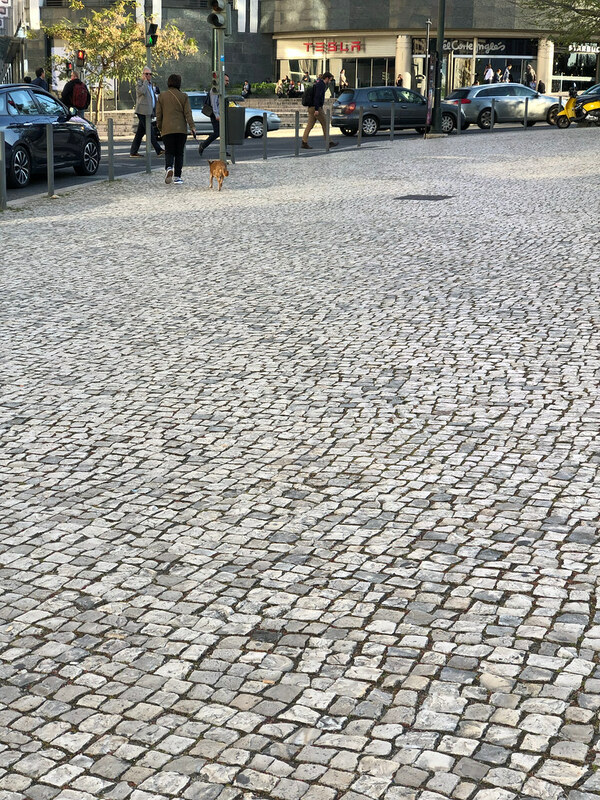 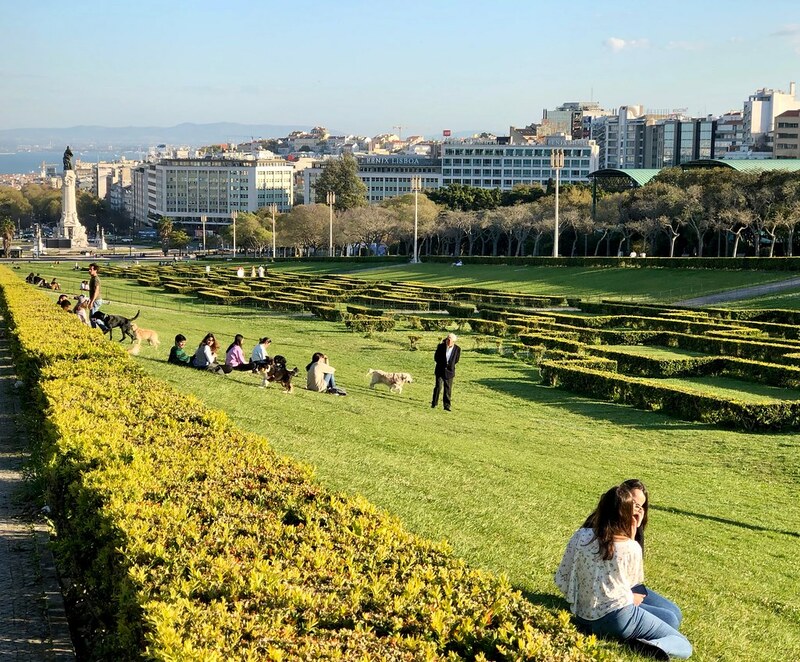 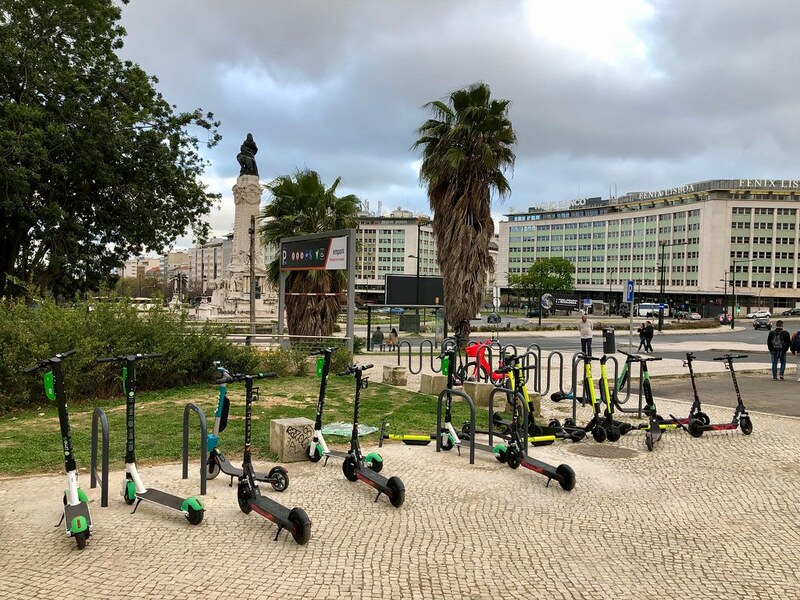 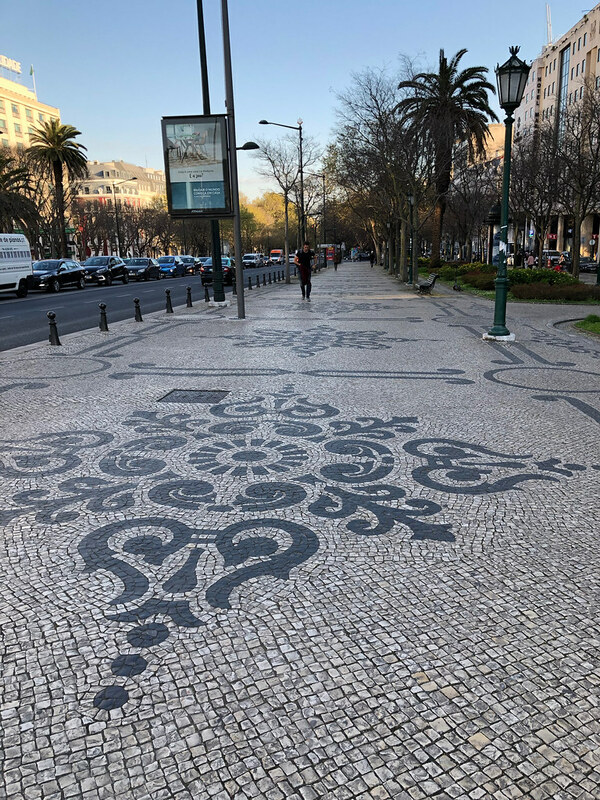 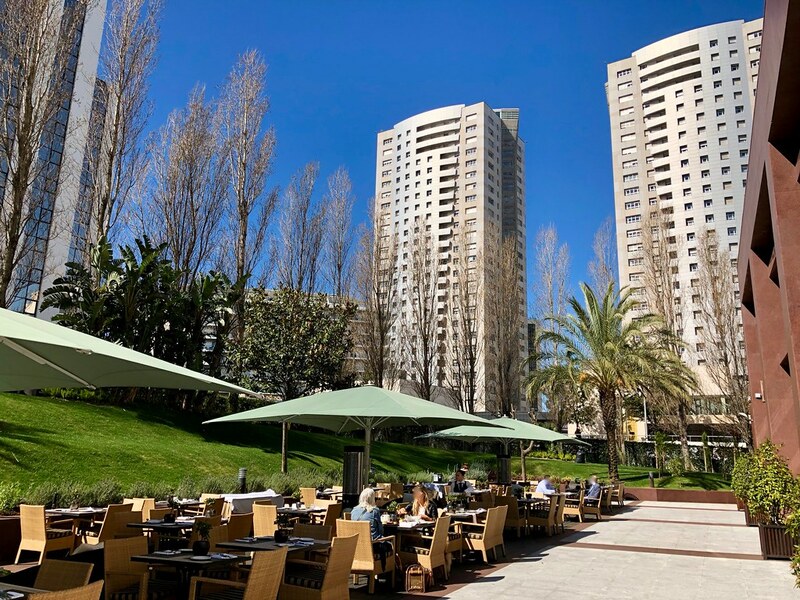 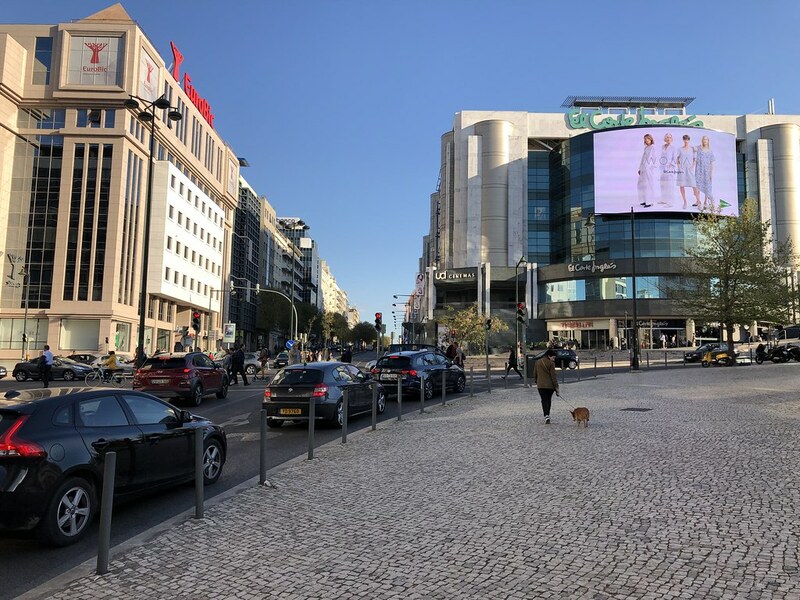 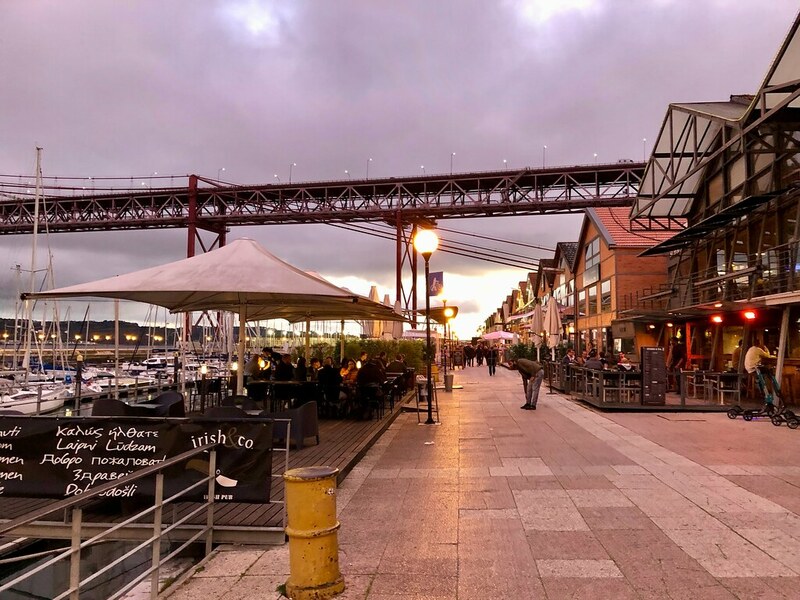 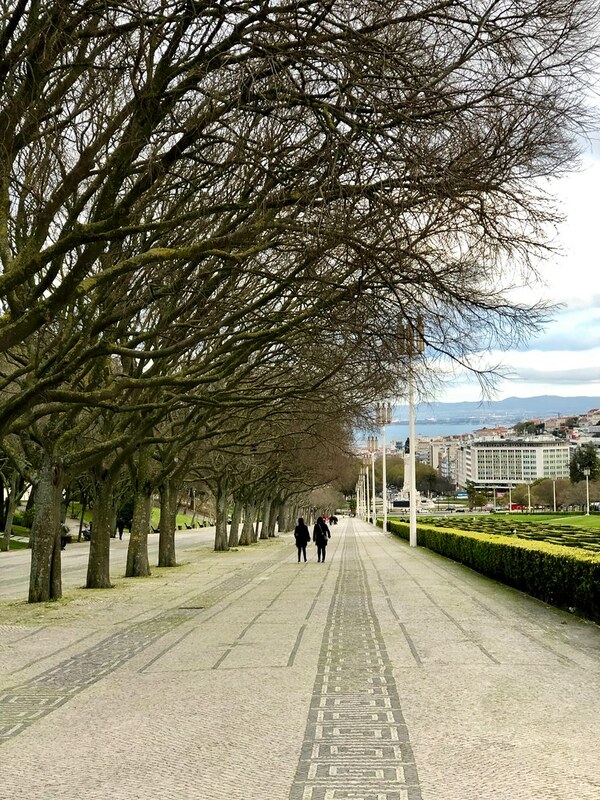 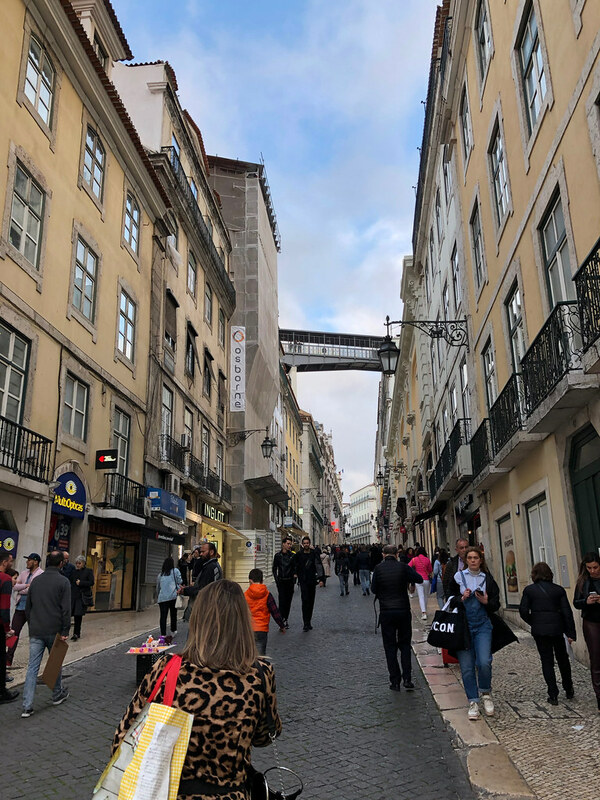 Last edited by yflyer; 7th April 2019 at 05:13 PM..
After checking into hotel, I changed up and headed out for an orientation run of the city: 6km from the hotel to the Praca do Comercia, the main square in the old town by riverfront of the Tagus river, then another 4km along the waterfront to Ponte de 25 Abril. 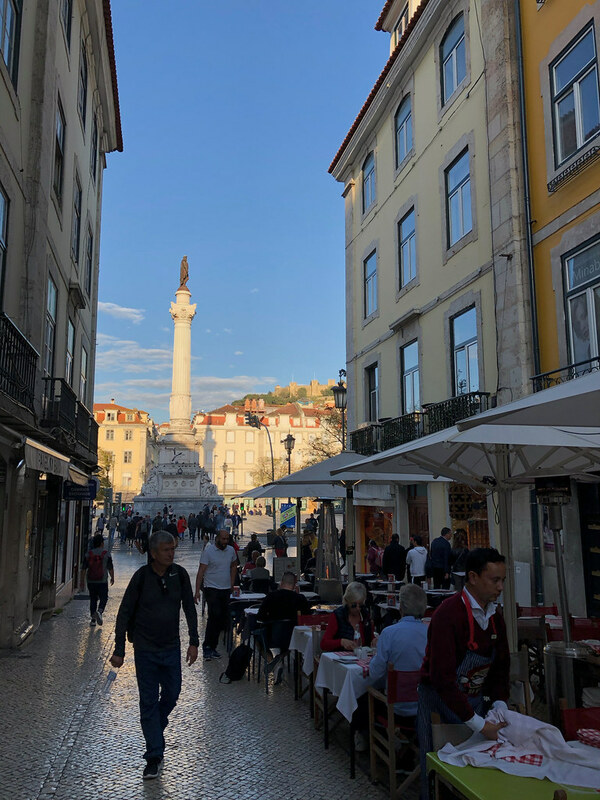 Last edited by yflyer; Yesterday at 08:59 PM..
...and eventually arrived at the Praca do Comercio at the 6km mark of the run. 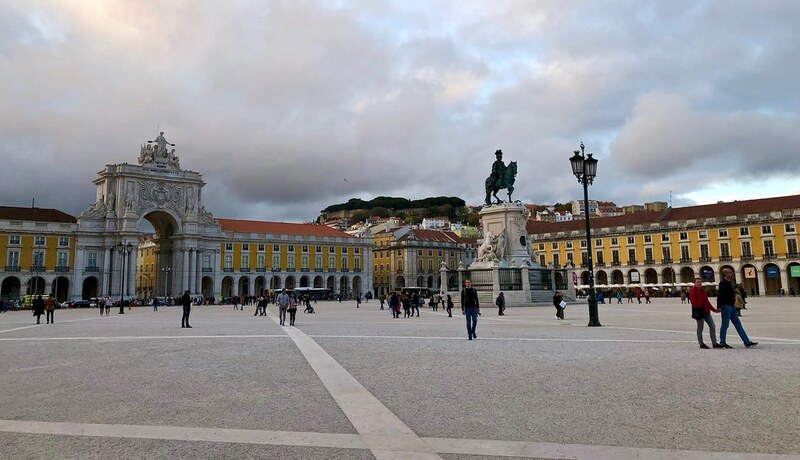 From Praca do Comercia, which was on the waterfront, by the Tagus River, I headed south along the waterfront. 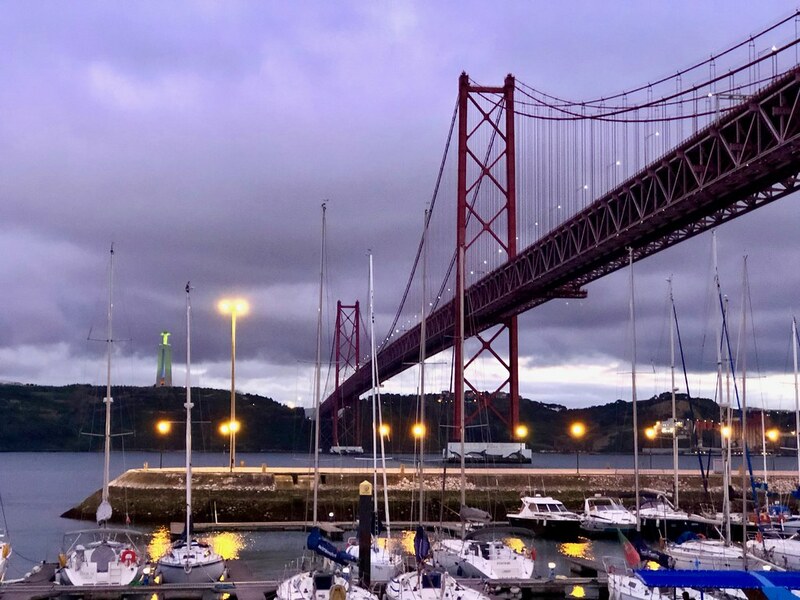 The endpoint of my run, 4km away, was the Ponte de 25 Abril, a bridge that looked strikingly similar to the Golden Gate Bridge in San Francisco (The bridge was in fact, built by the company that built the San Francisco Oakland Bay Bridge, and is painted in a similar colour, International Orange, as the Golden Gate Bridge). 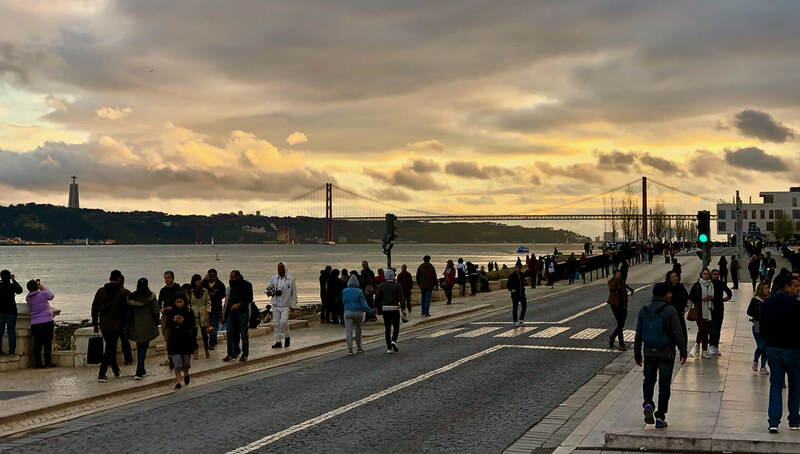 The sun was setting, and it was getting late, and a little cold, but my target remained the Bridge. 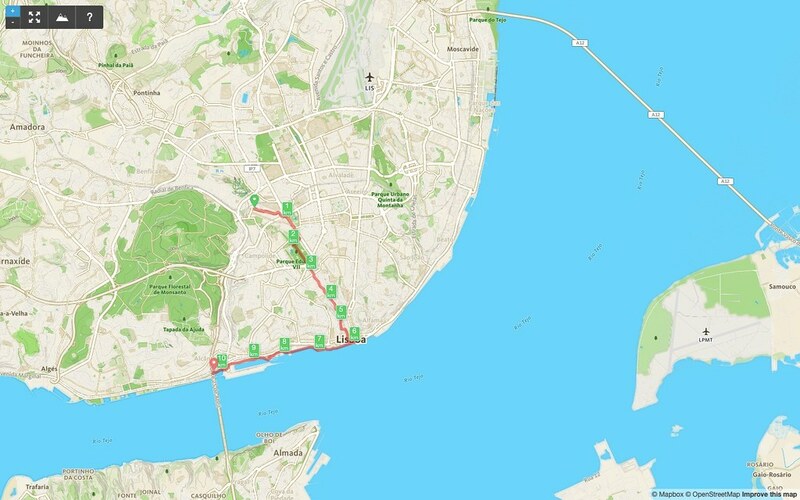 I followed the cycling/foot path along the riverfront, which included several stretches where the track turned slightly inland to avoid buildings and port facilities along the waterfront, and eventually arrived at the Bridge. 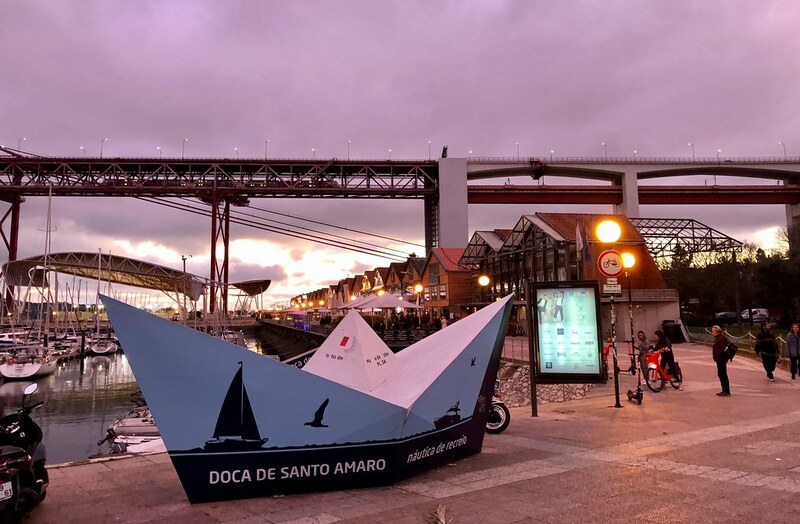 And right under the bridge was a boat harbour and entertainment/restaurant complex known as Doca de Santo Amaro or simply Docas. 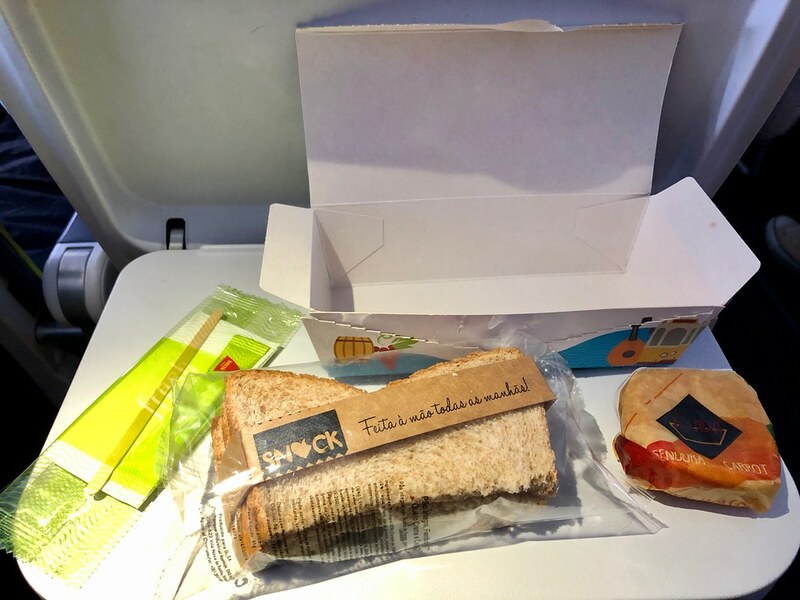 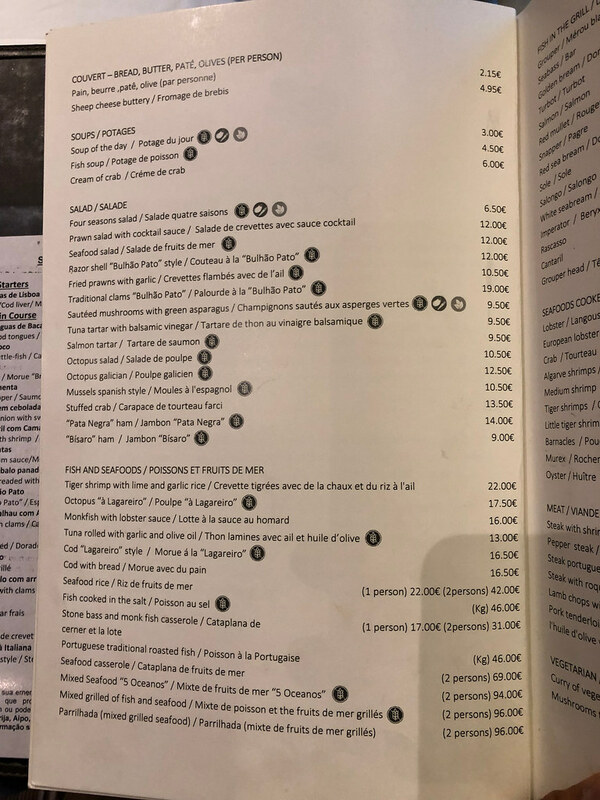 Last edited by yflyer; 7th April 2019 at 09:04 PM..
Lots of very interesting dining possibilities here! 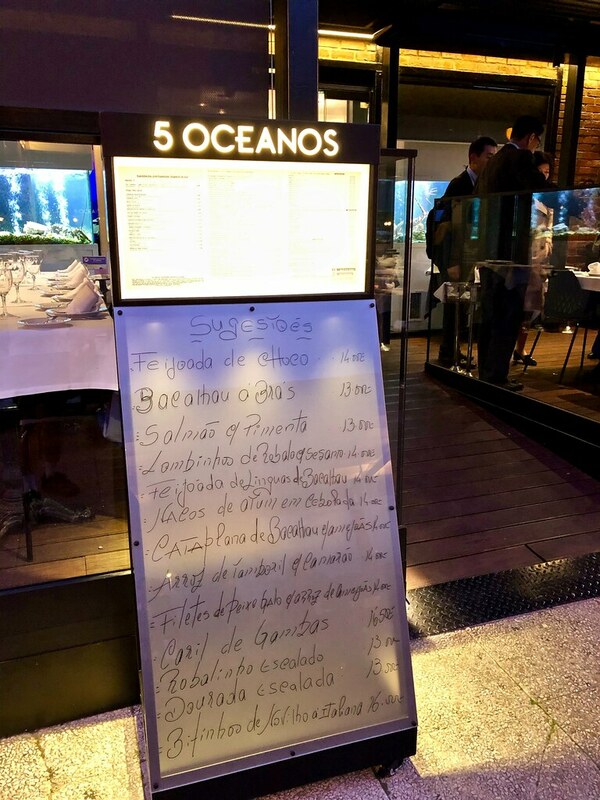 I took a taxi back to my hotel to shower and change, but decided to head back to Docas for dinner later. 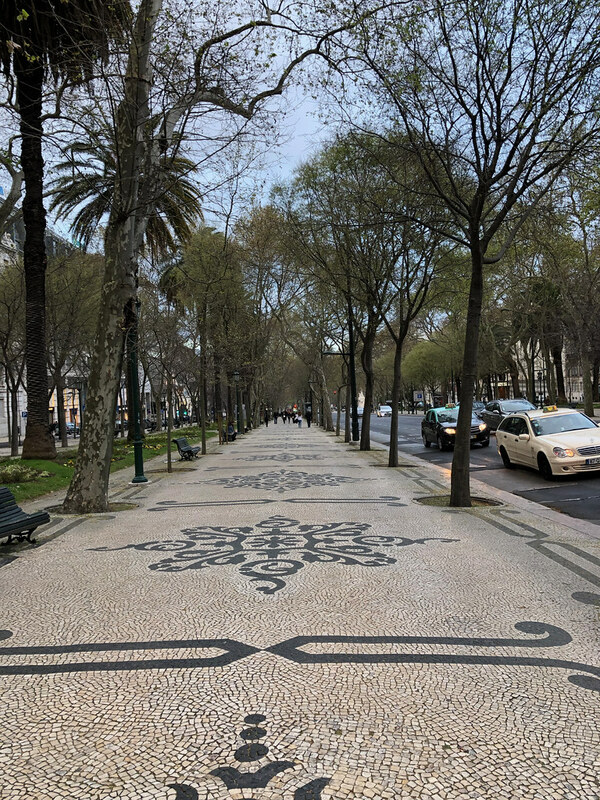 Overall, a very satisfying 10km run through the heart of Lisbon. 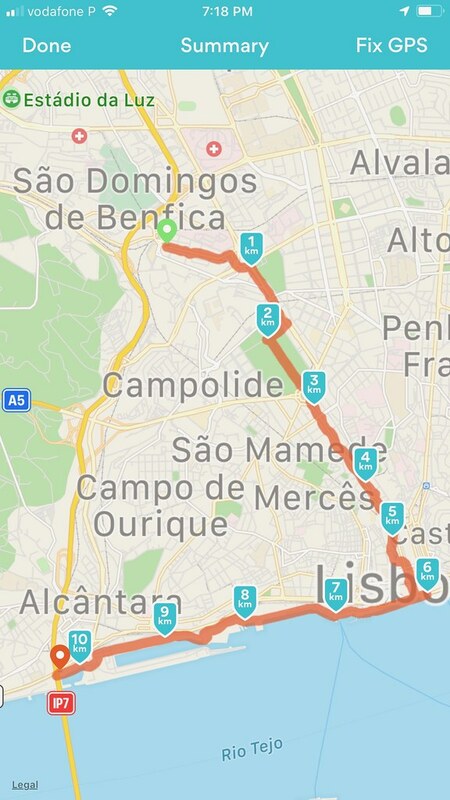 To put things in geographical context, here is another map showing the running route, starting at Hotel Corinthia, right down to the riverfront at Praca do Comercio, at the 6km mark, then heading south towards Docas and Ponte de 25 Abril, the bridge across the River Tagus. 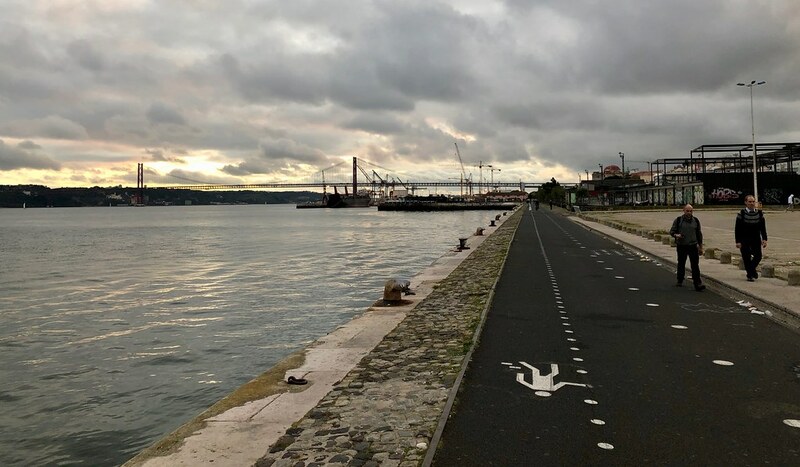 Also visible on the map are the Airport, and the other bridge to the north, the 17km long road bridge named Ponte Vasco de Gama. 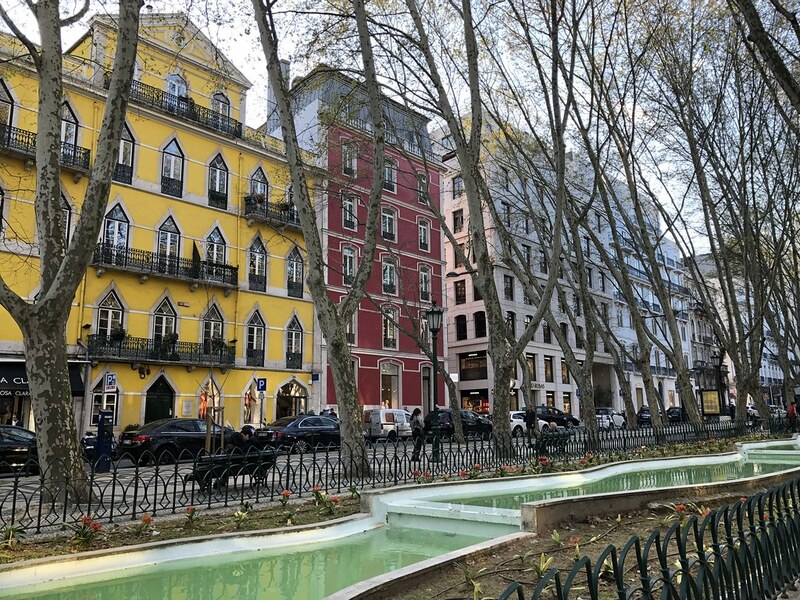 Last edited by yflyer; 7th April 2019 at 05:49 PM..
Everything looked so good...how to decide? 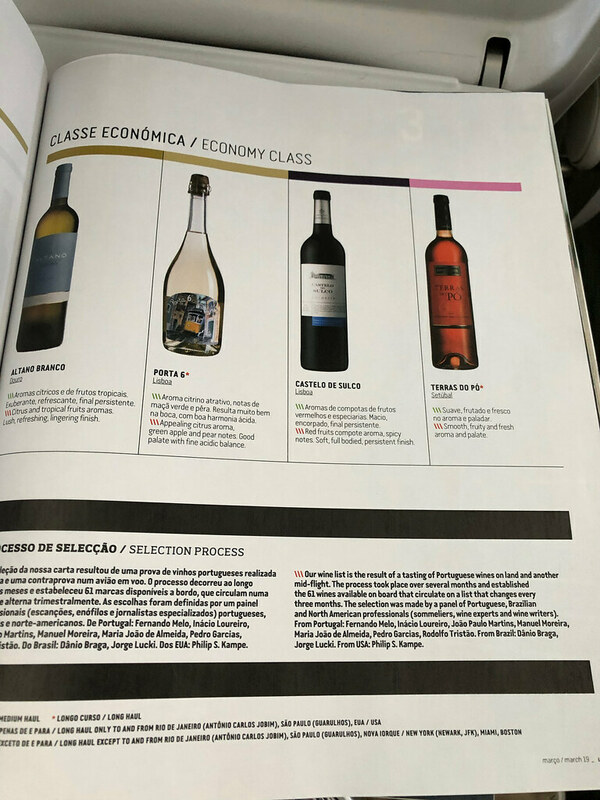 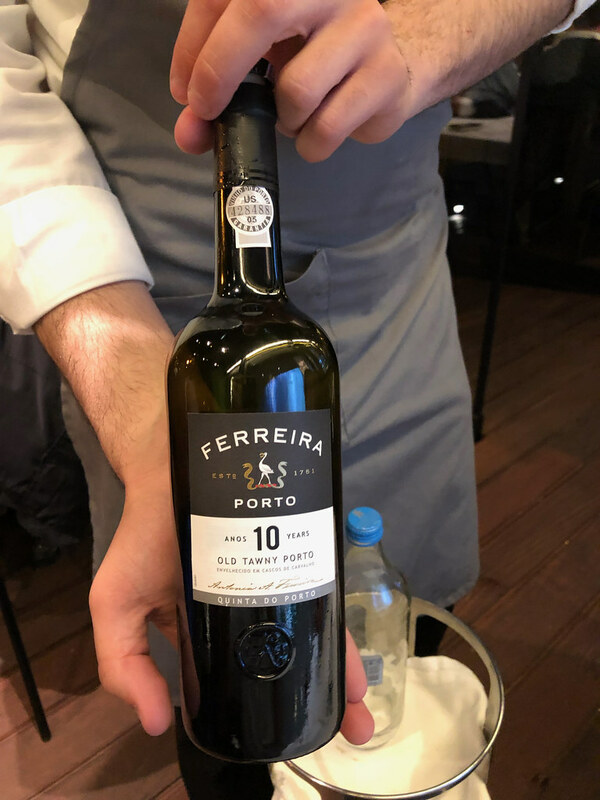 This was a lovely wine, one of a whole list of Portuguese wines available...indeed the high quality and reasonable prices of the Portuguese wines we sampled on this trip was truly remarkable. 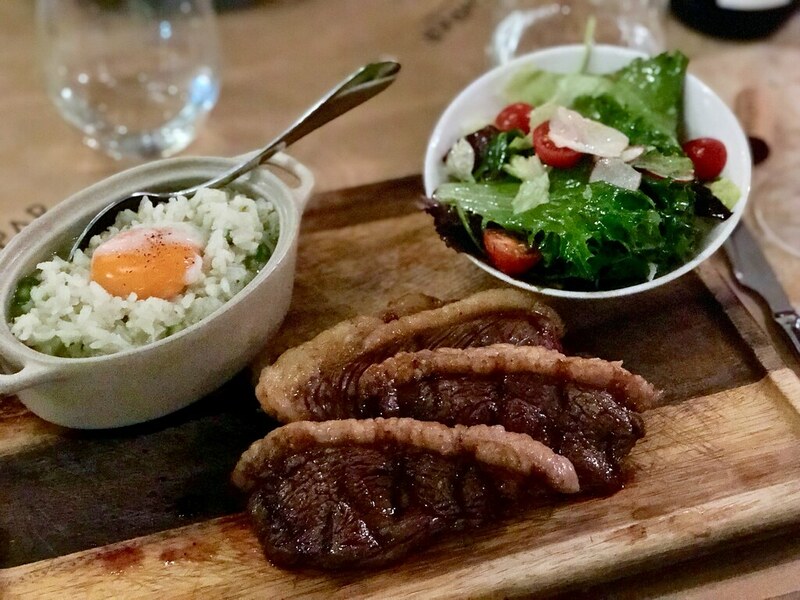 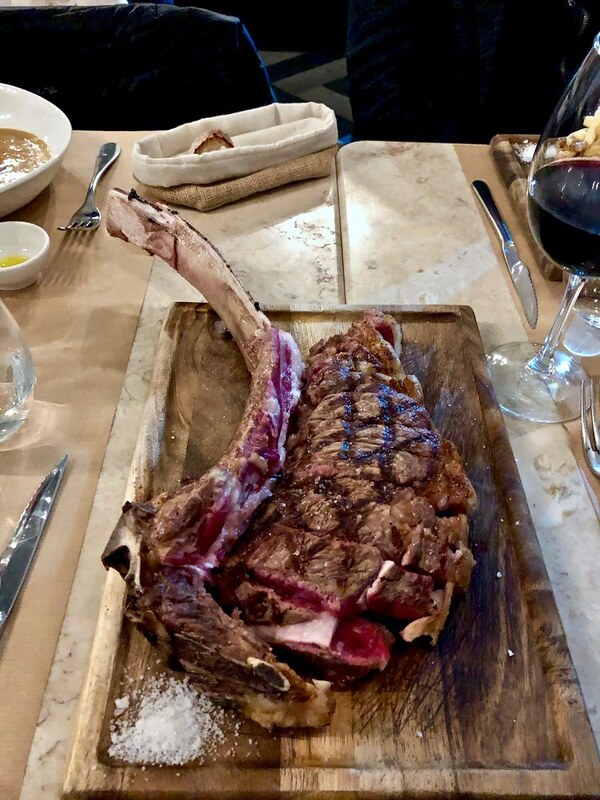 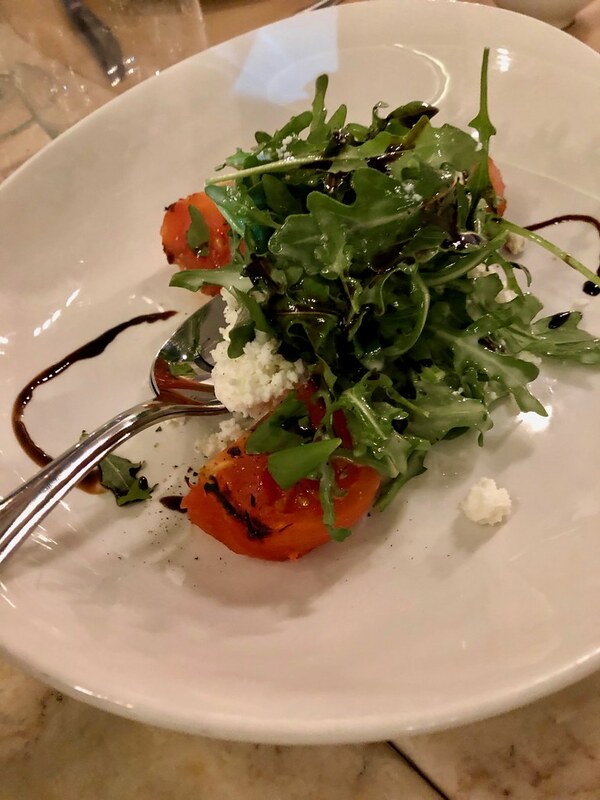 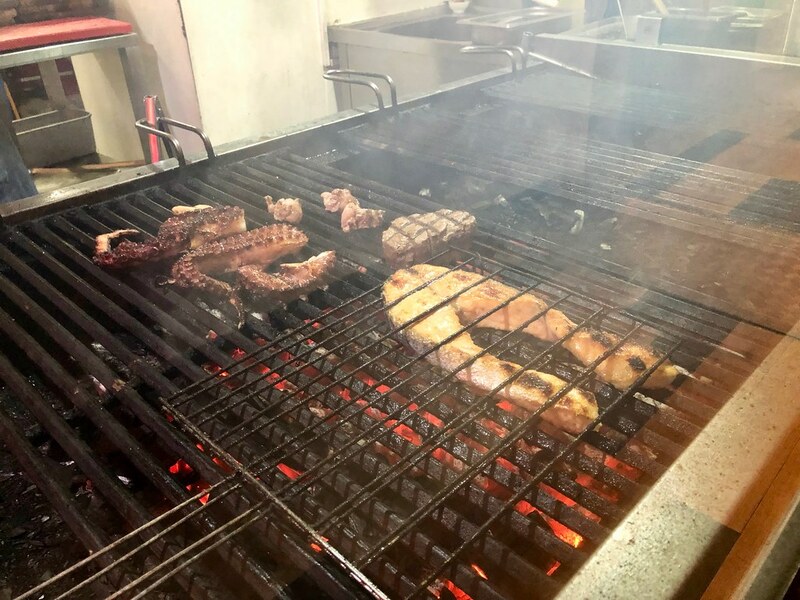 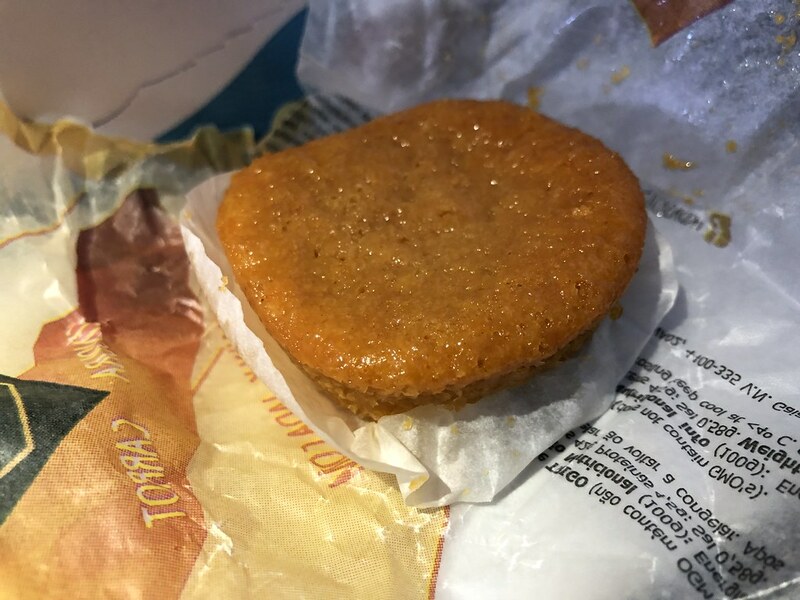 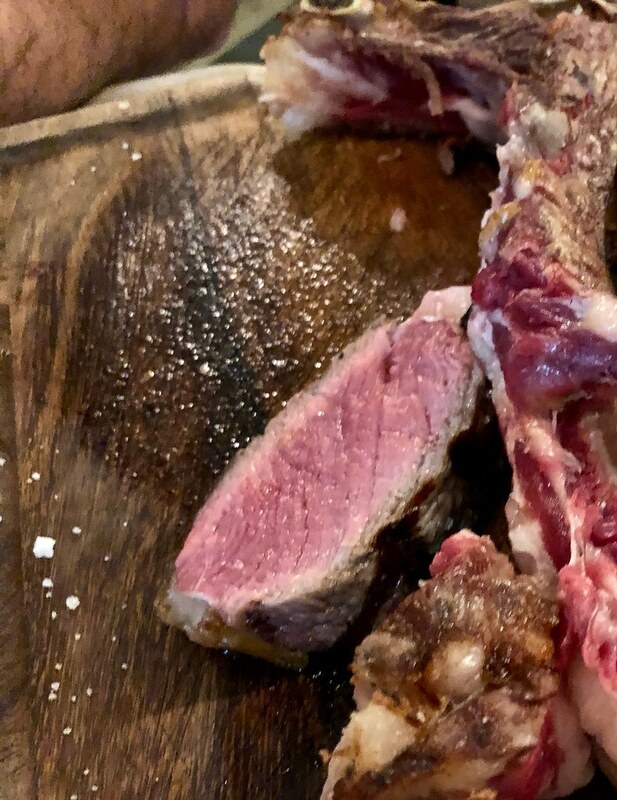 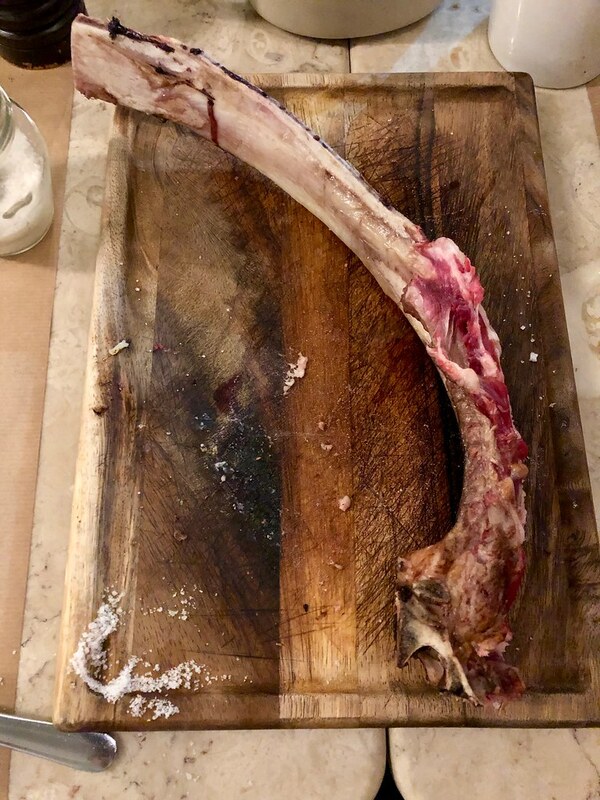 Last edited by yflyer; 7th April 2019 at 09:03 PM..
Mmmm...the flesh was tender, meaty and delicious, with a very flavourful skin that added a very nice contrast to taste and texture. 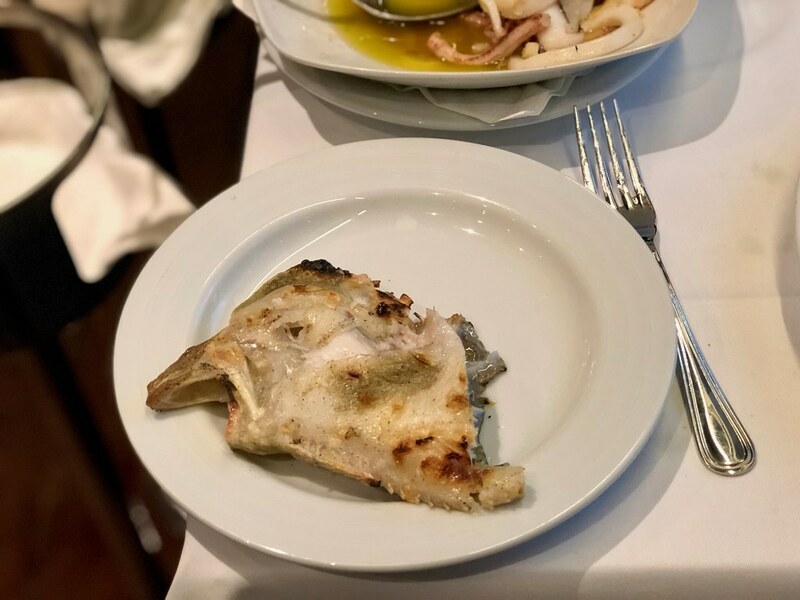 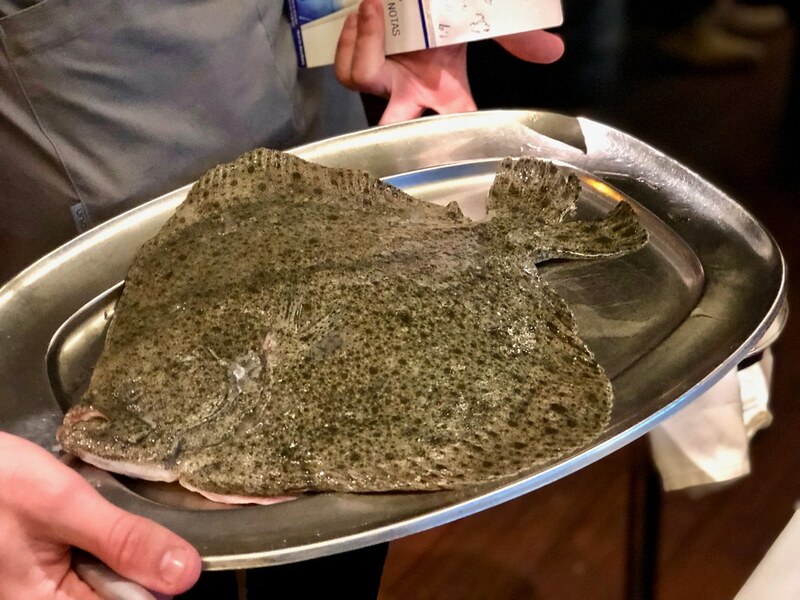 The head of the turbot was also served separately on a plate for us to savour. 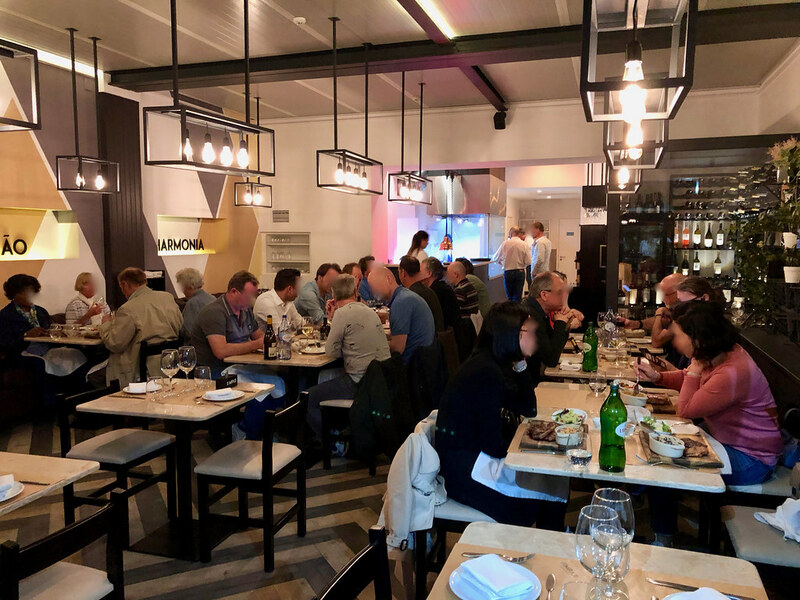 It was also one of those places where it made sense to come in a group, so that a range of different dishes could be ordered. 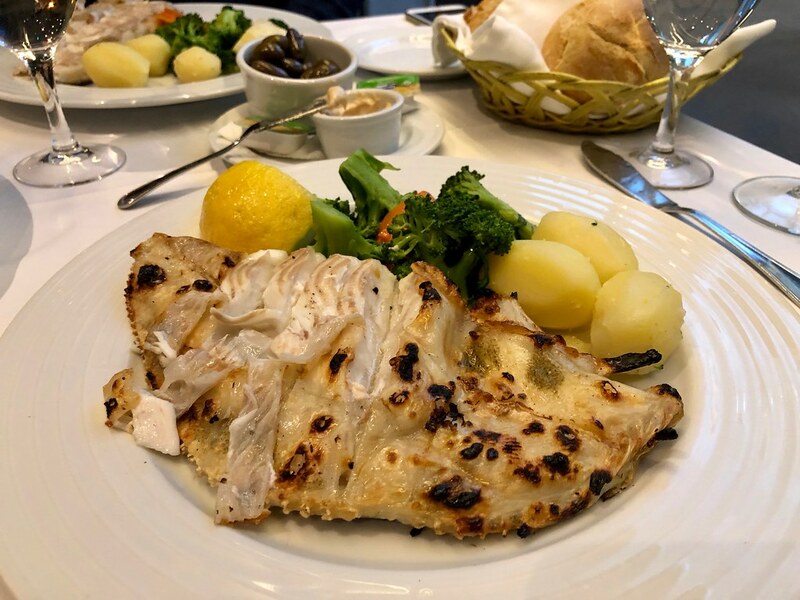 A lovely seafood meai in a very beautiful setting at Docas! 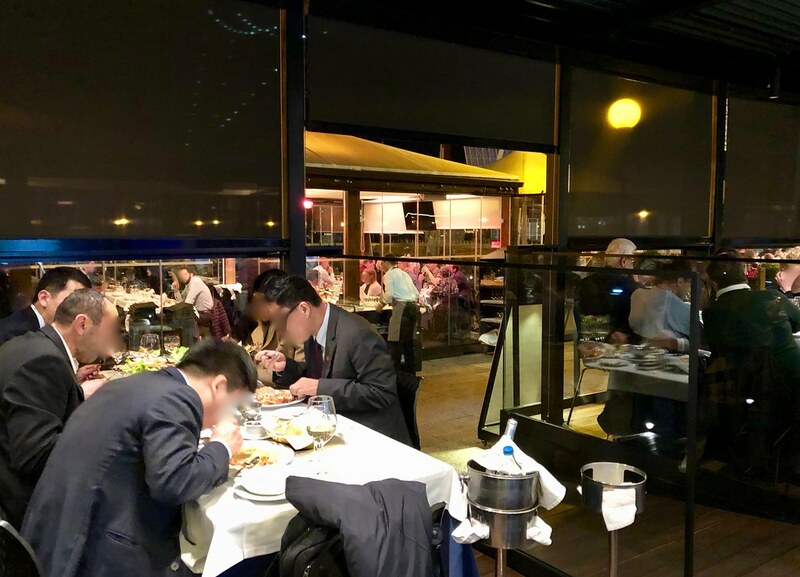 Last edited by yflyer; 7th April 2019 at 05:53 PM..
Another great TR, yflyer, chock-filled with great pics. 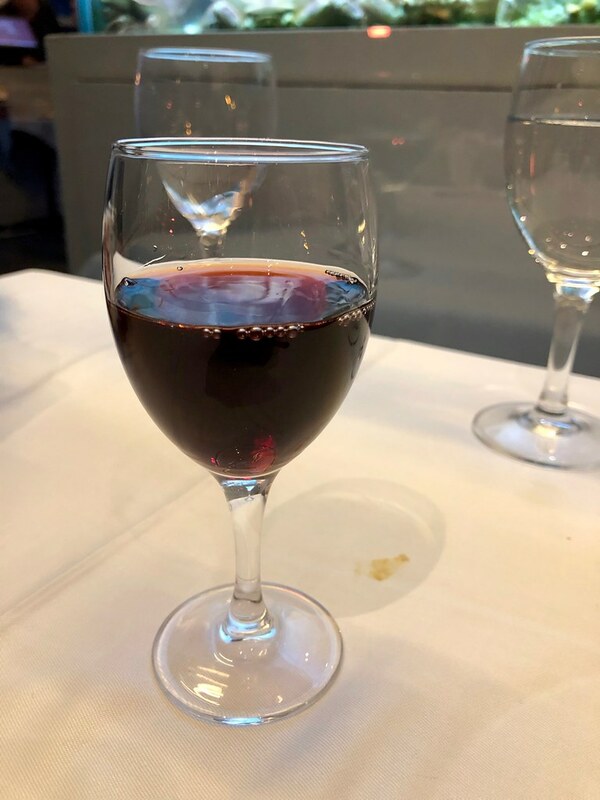 Looking forward to the rest! 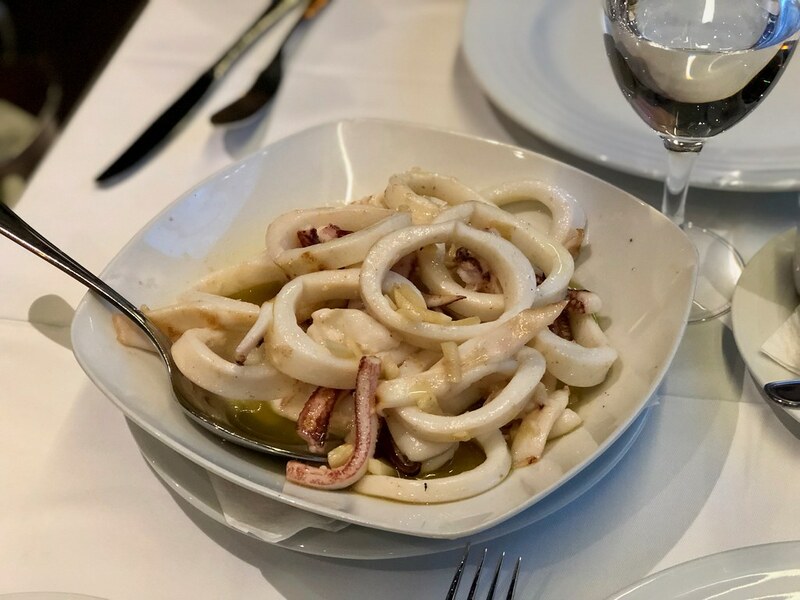 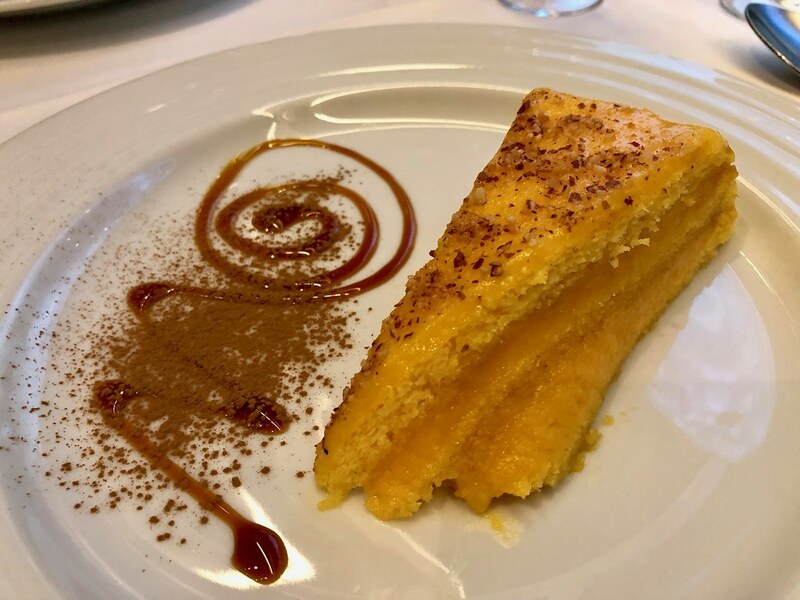 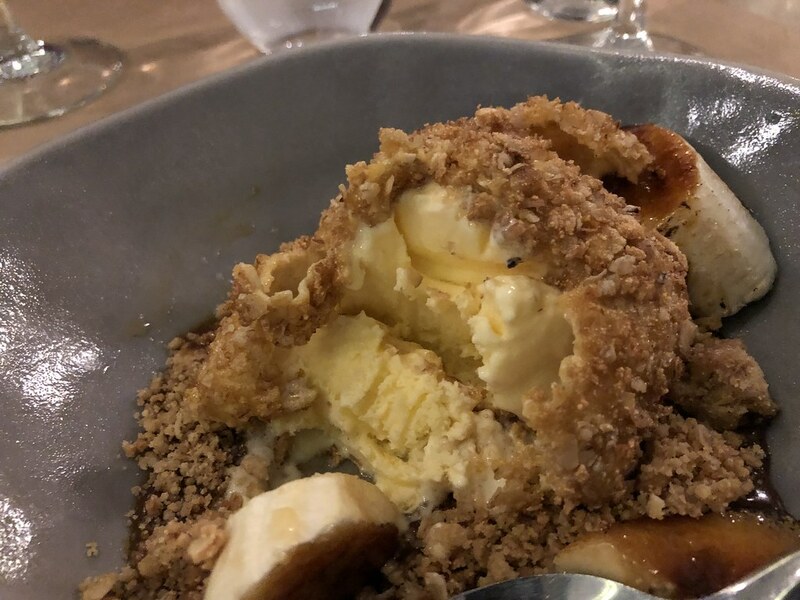 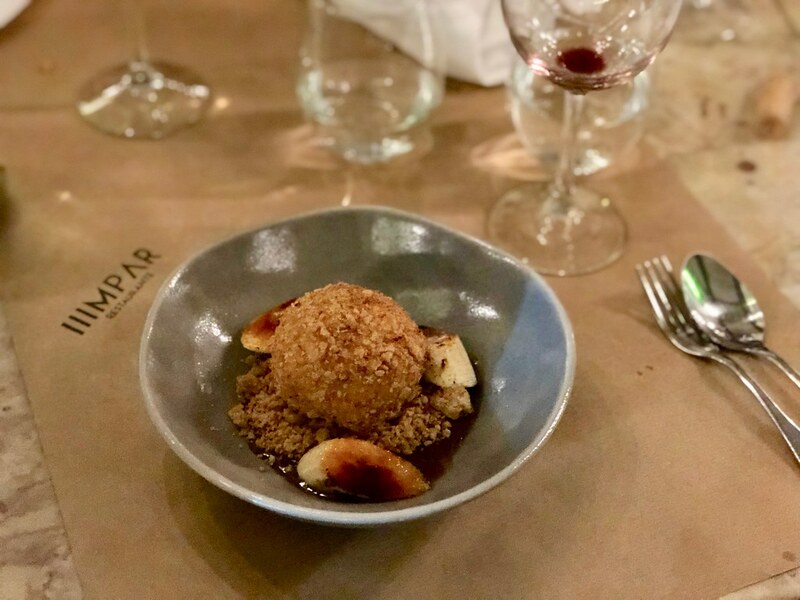 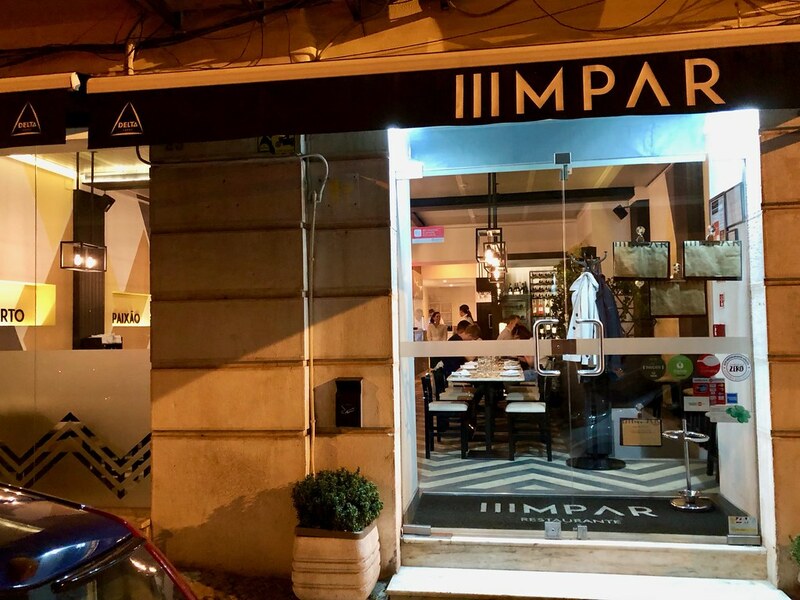 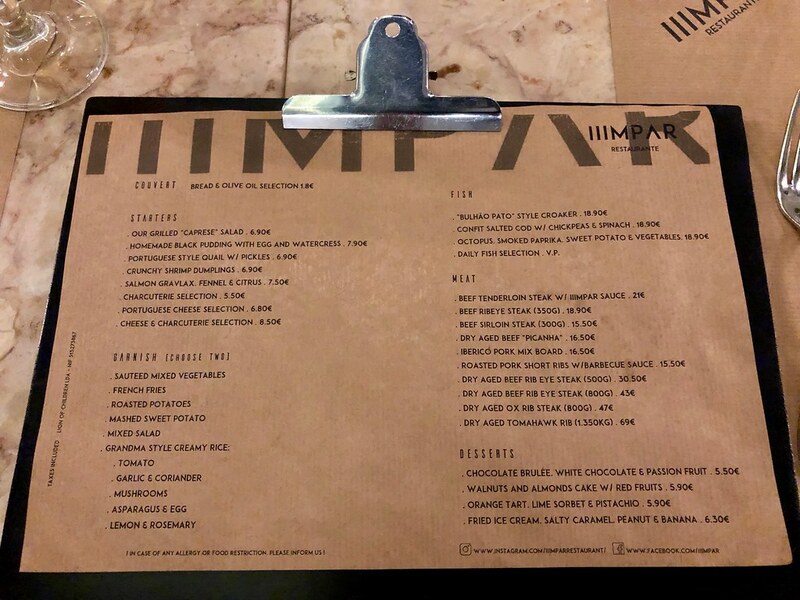 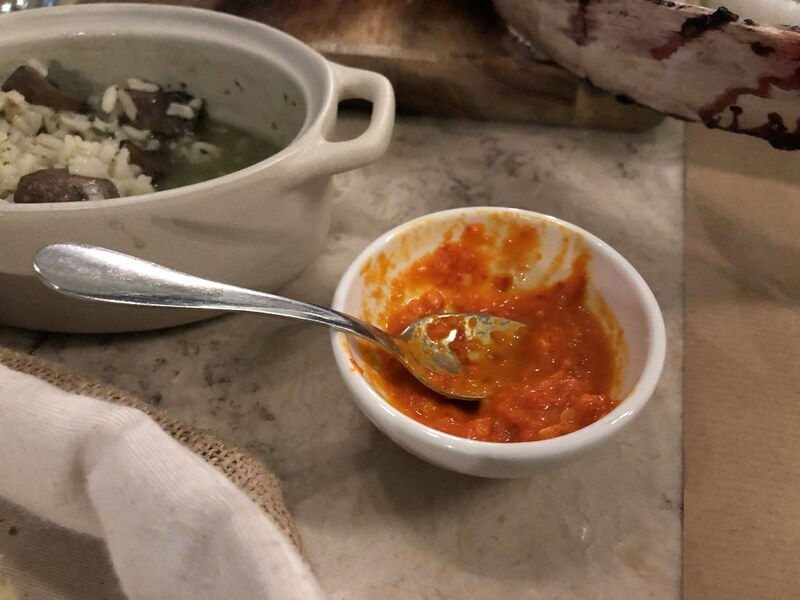 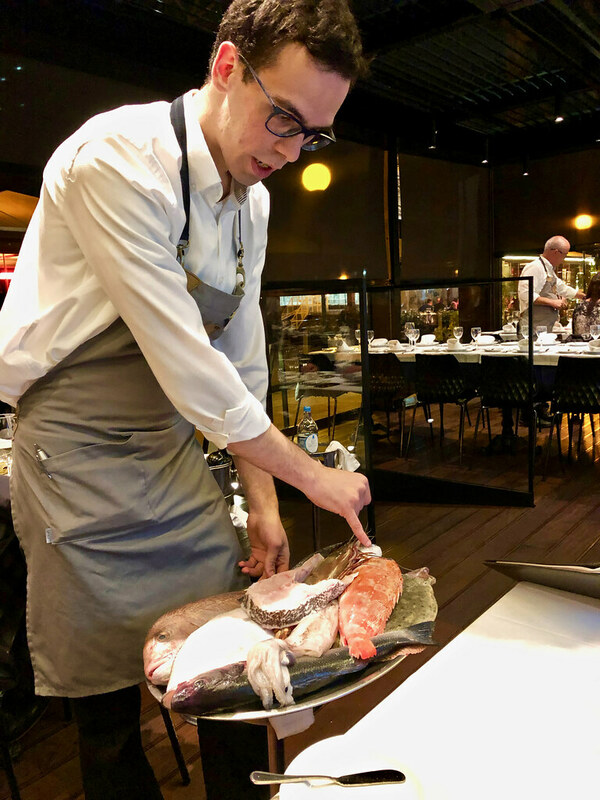 Later in the week I dined at IIIMPAR, a small but very popular and highly regarded restaurant on a quiet street not far from Marques de Pombal, and just west of the main Av. 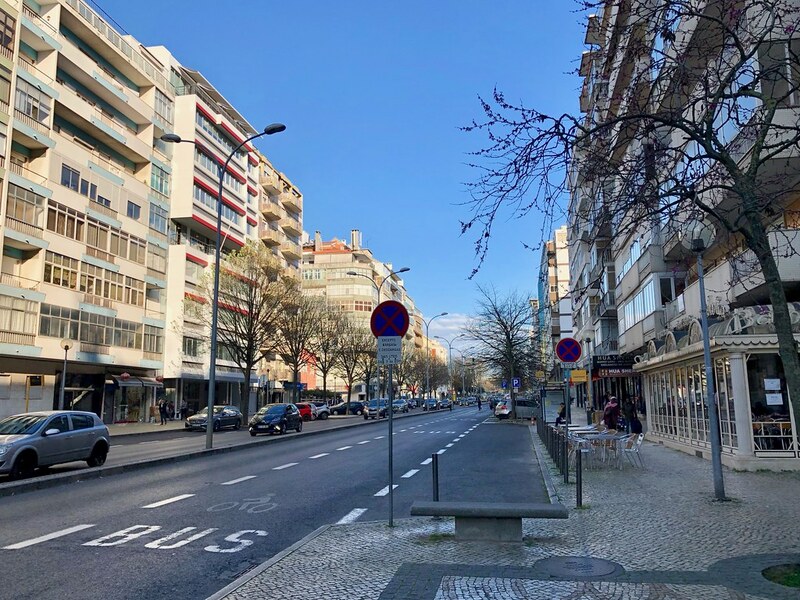 da Liberdade thoroughfare. 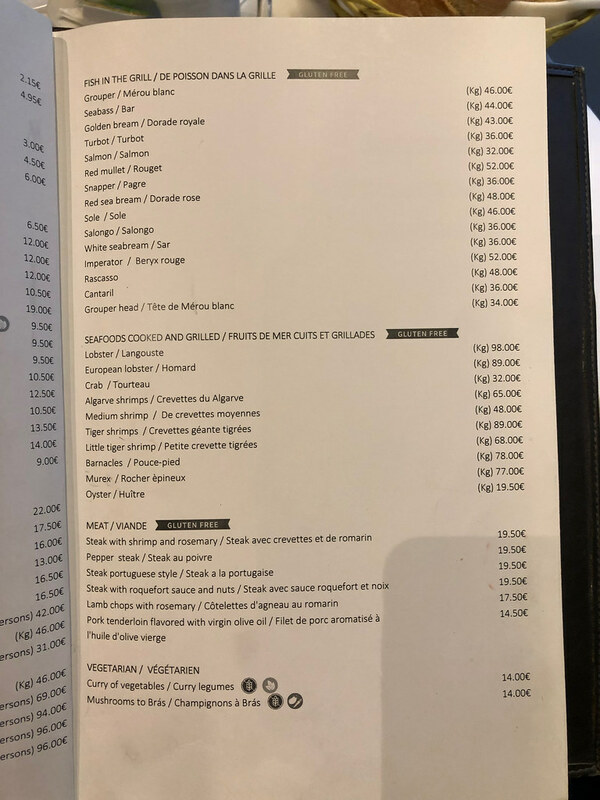 The menu looked exceedingly interesting, with both local starters and seafood, and very intriguing meat selections...there were so many dishes to sample that I actually ate there twice in the week, in order to sample some of the dishes which i did not get to try the first time. 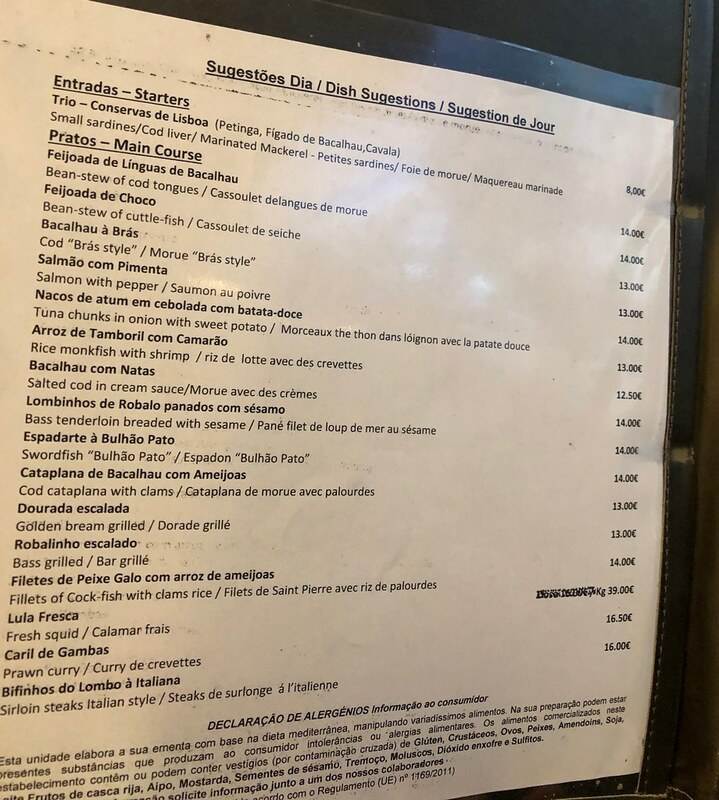 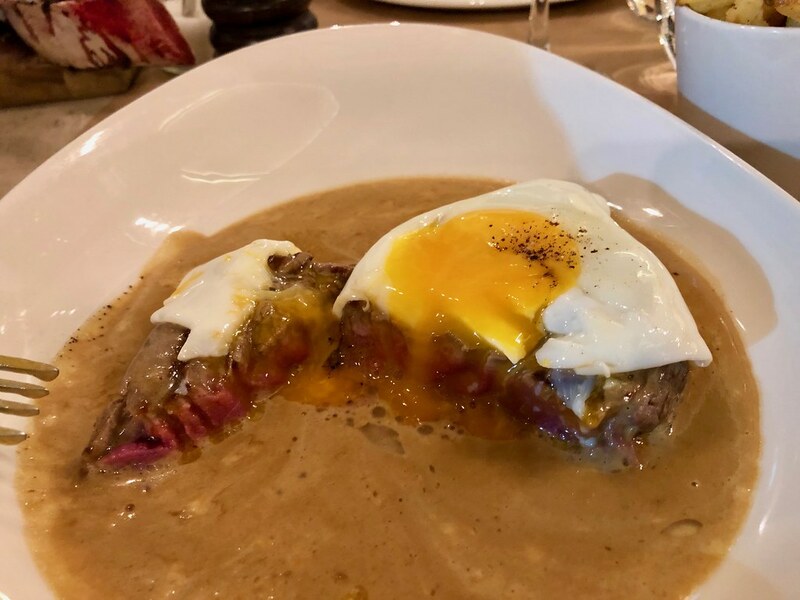 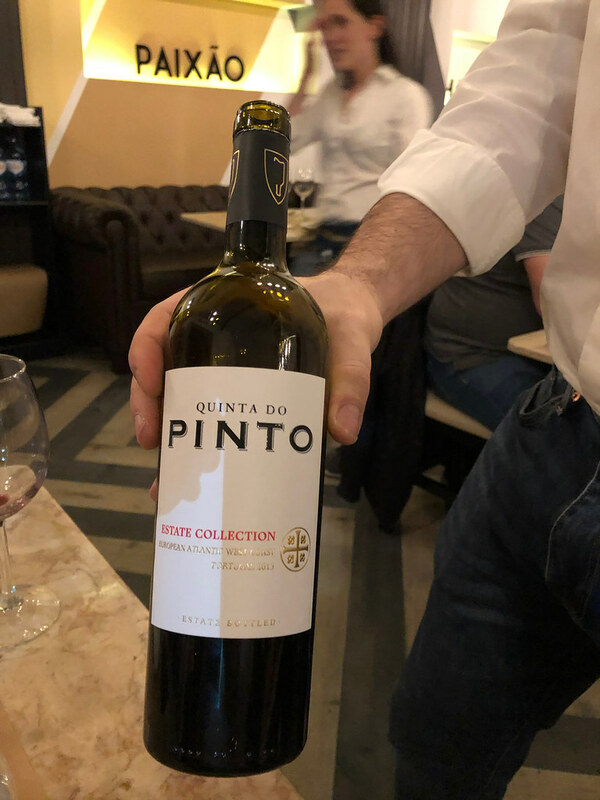 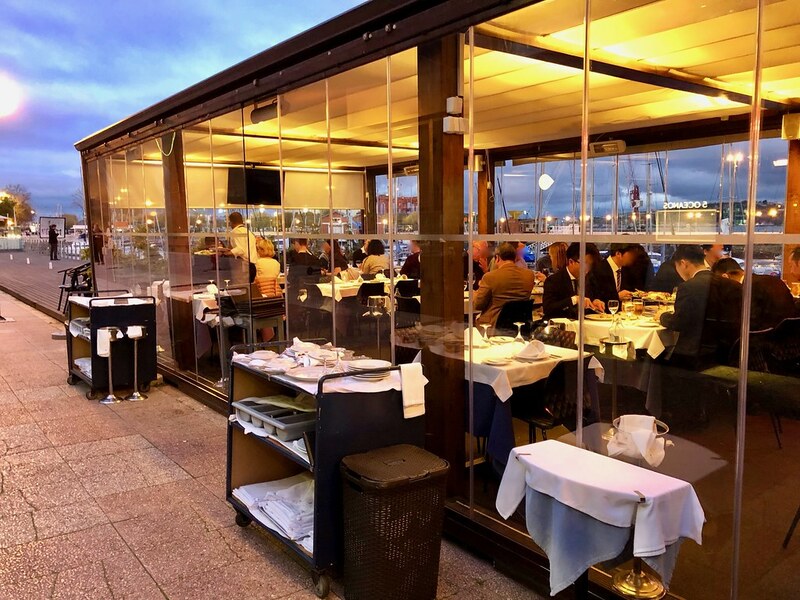 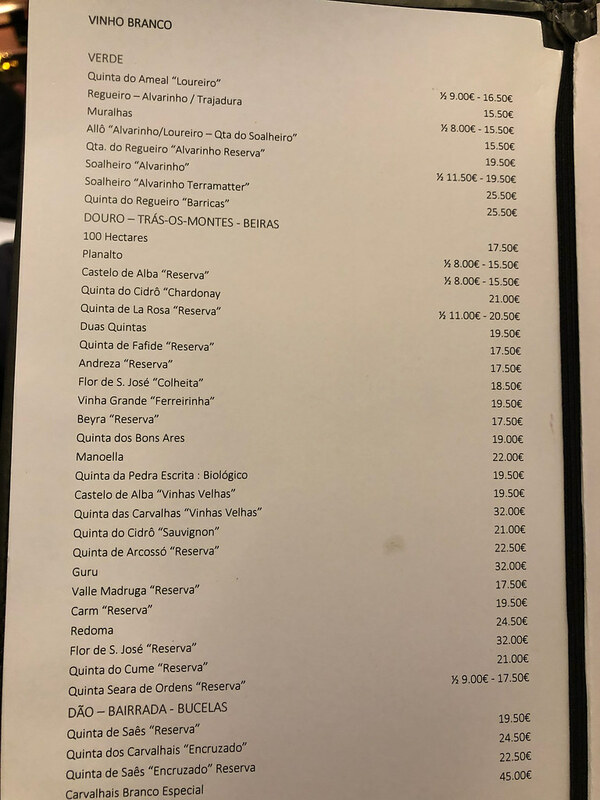 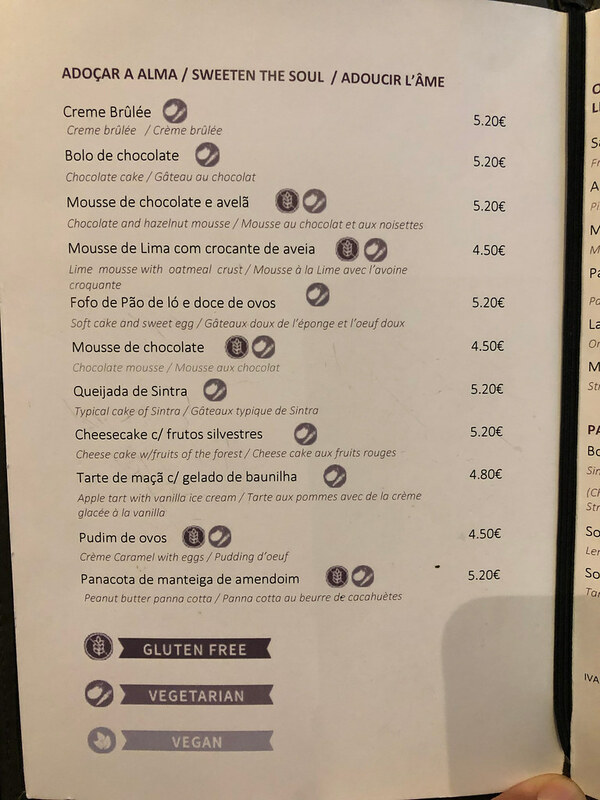 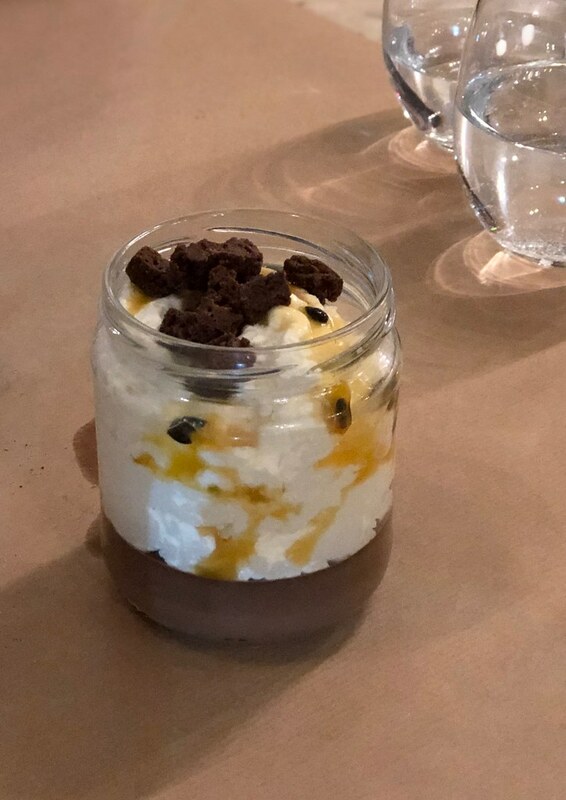 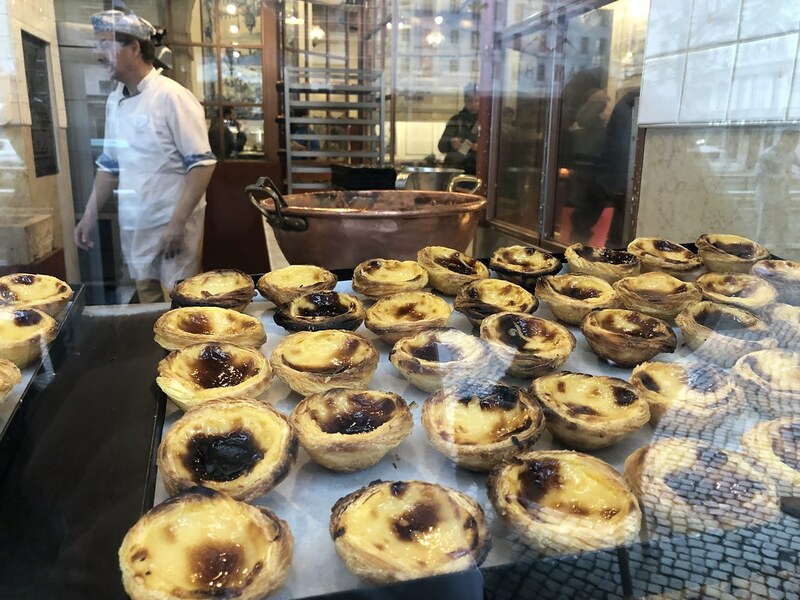 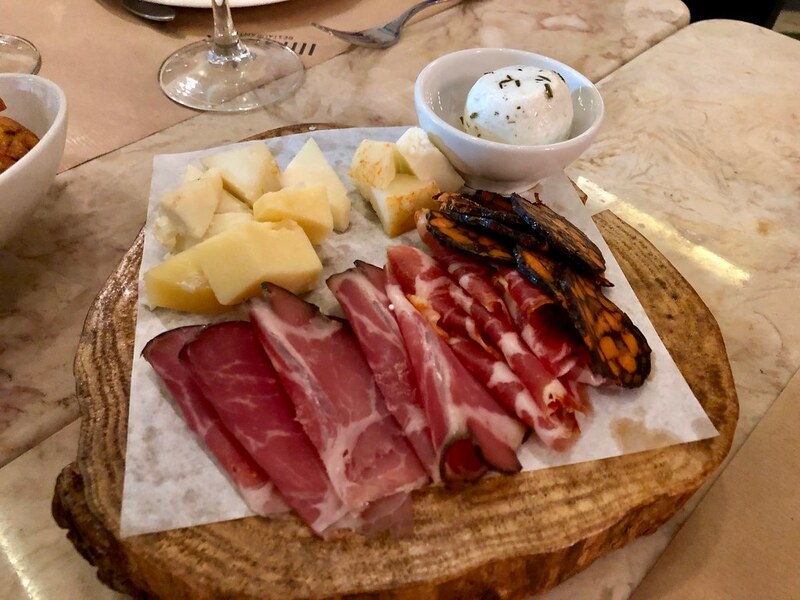 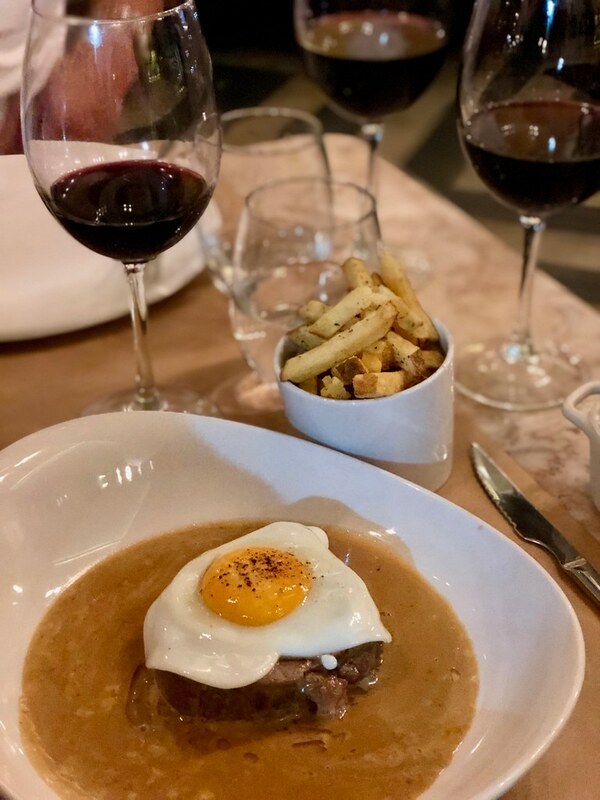 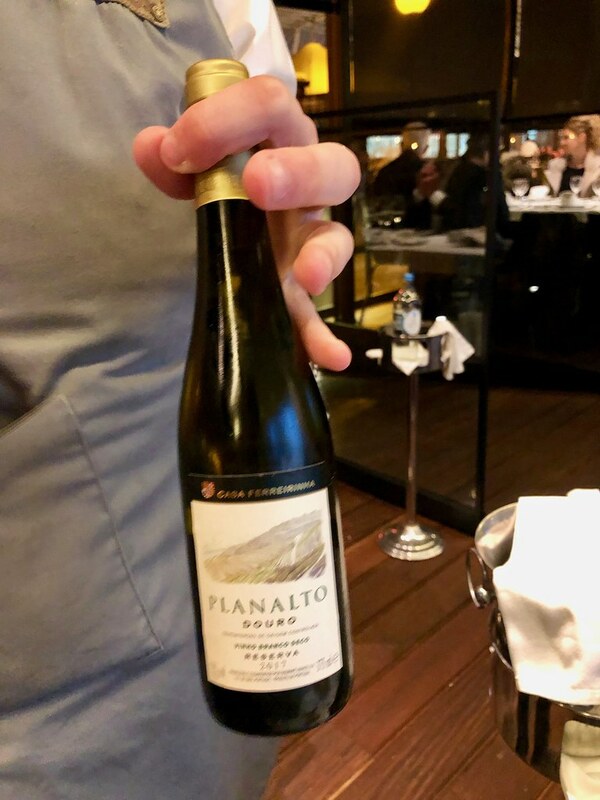 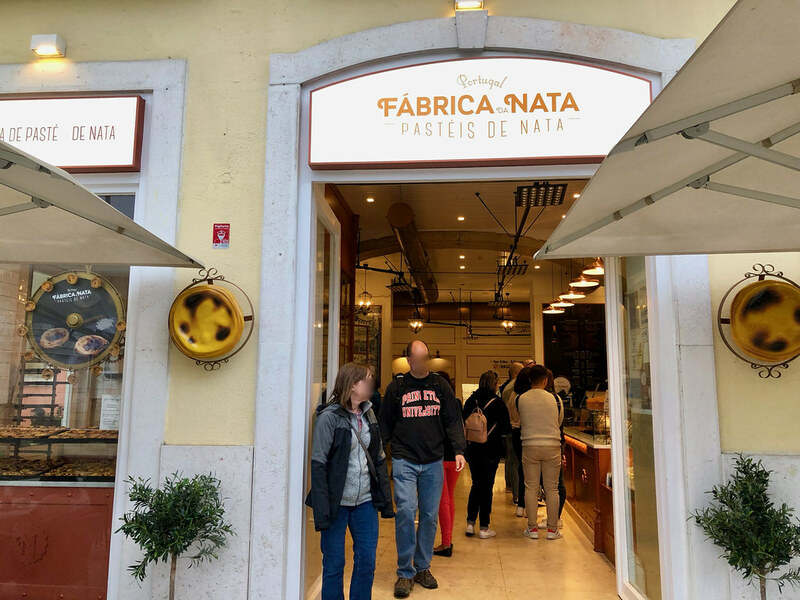 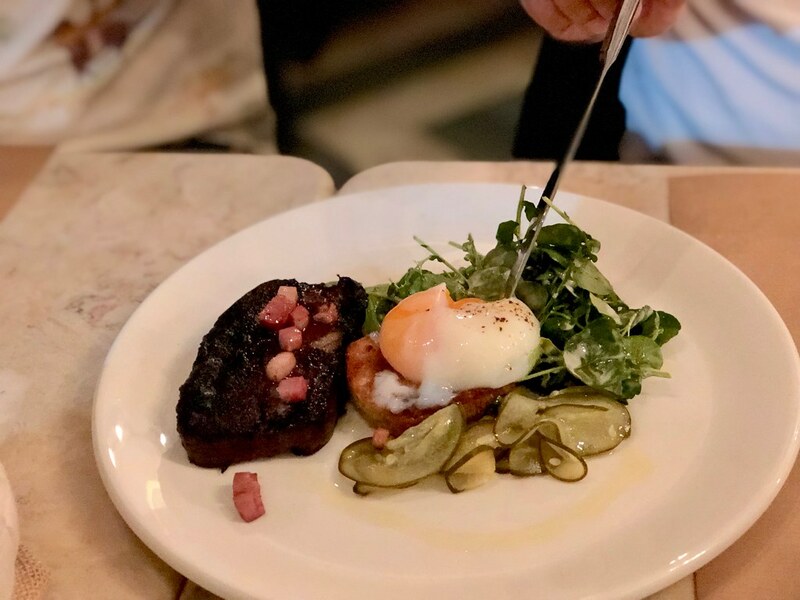 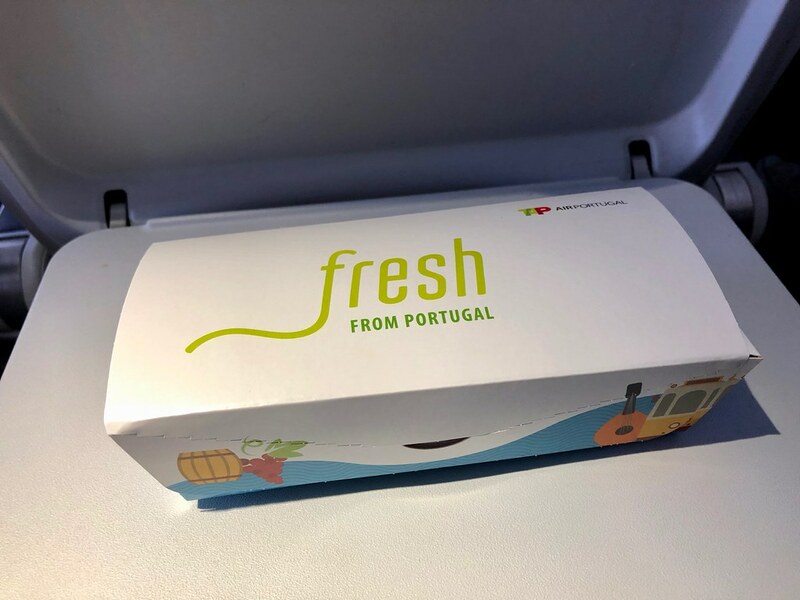 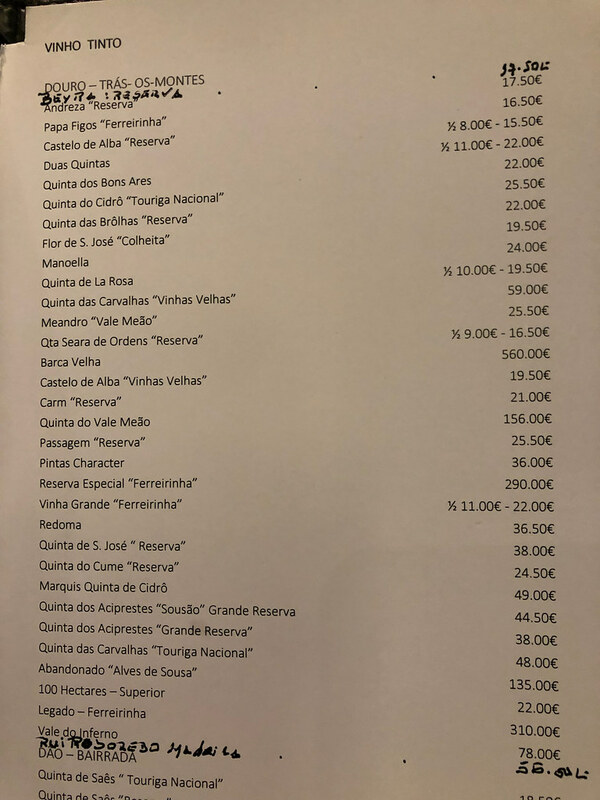 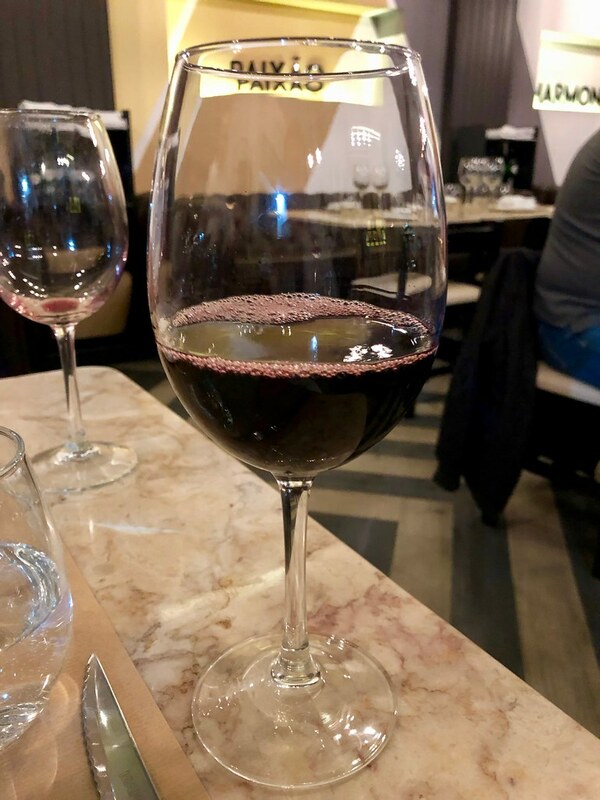 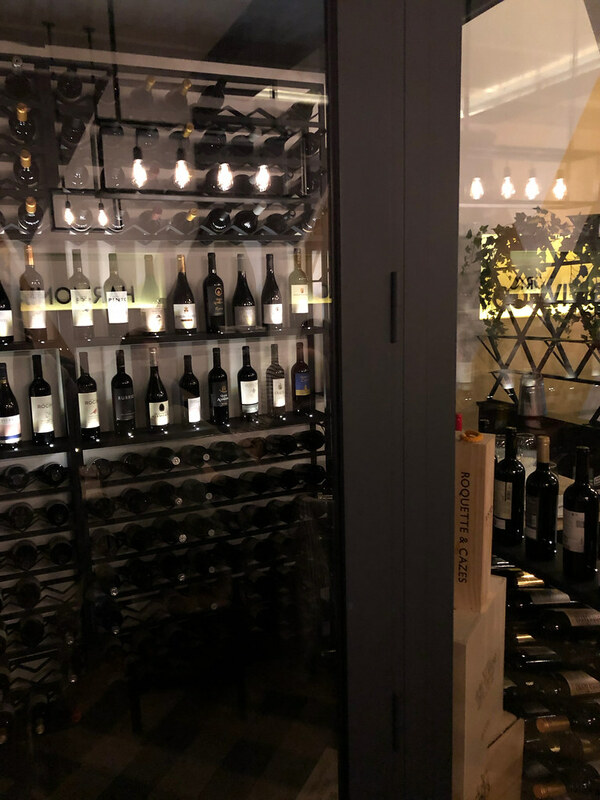 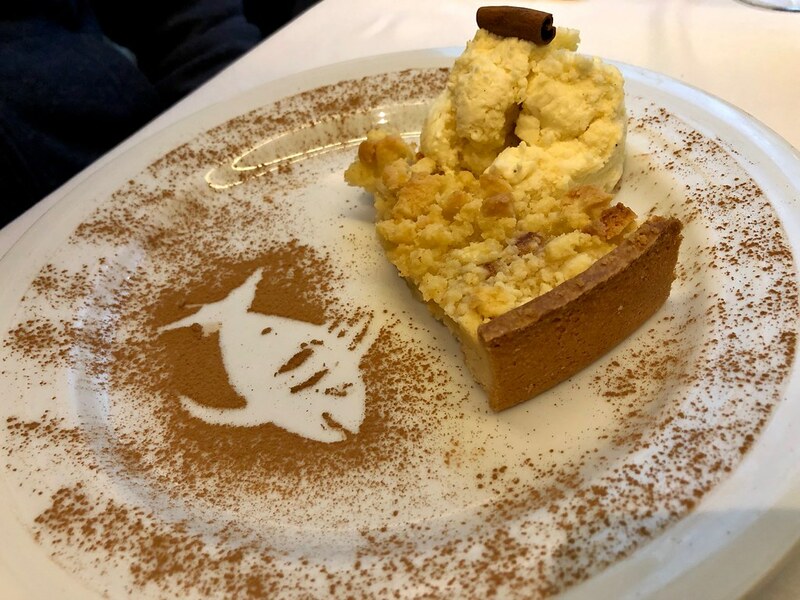 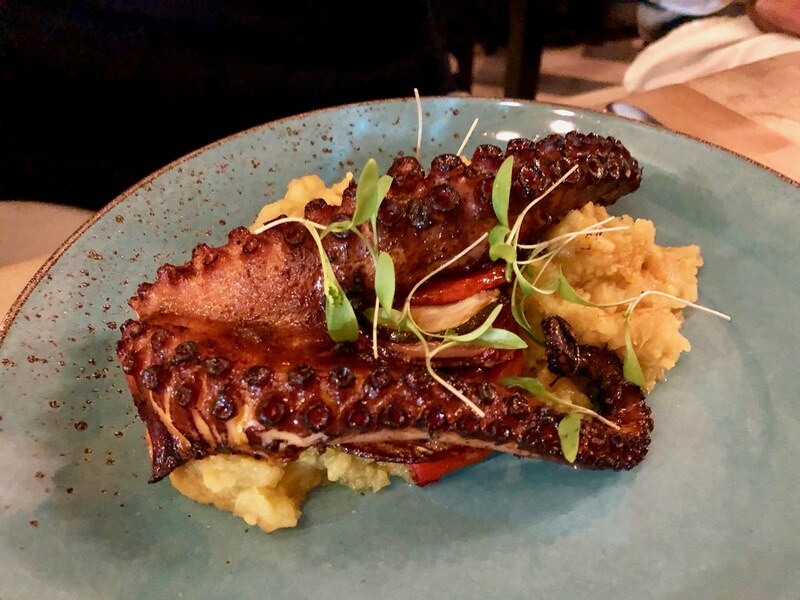 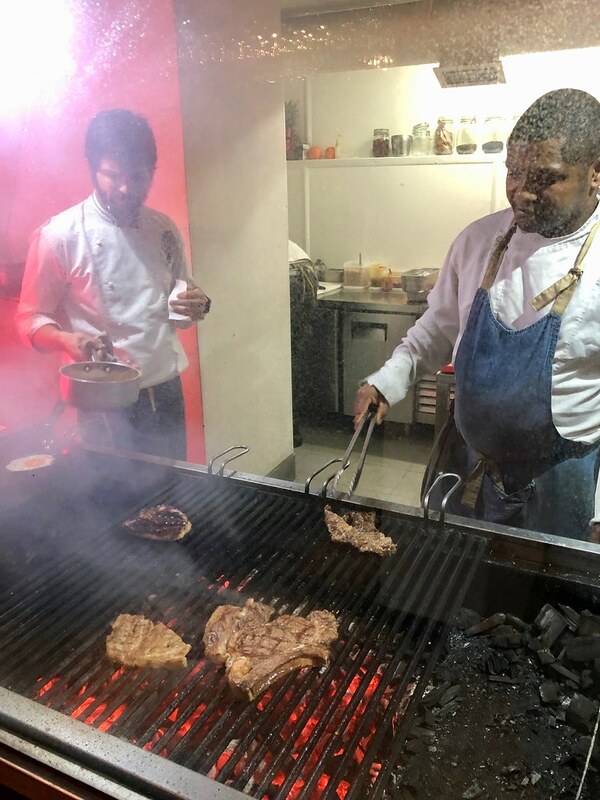 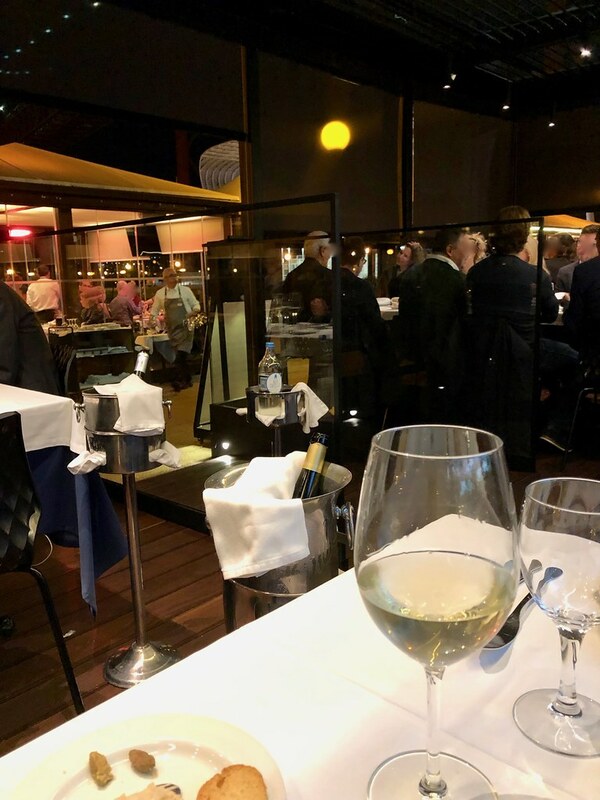 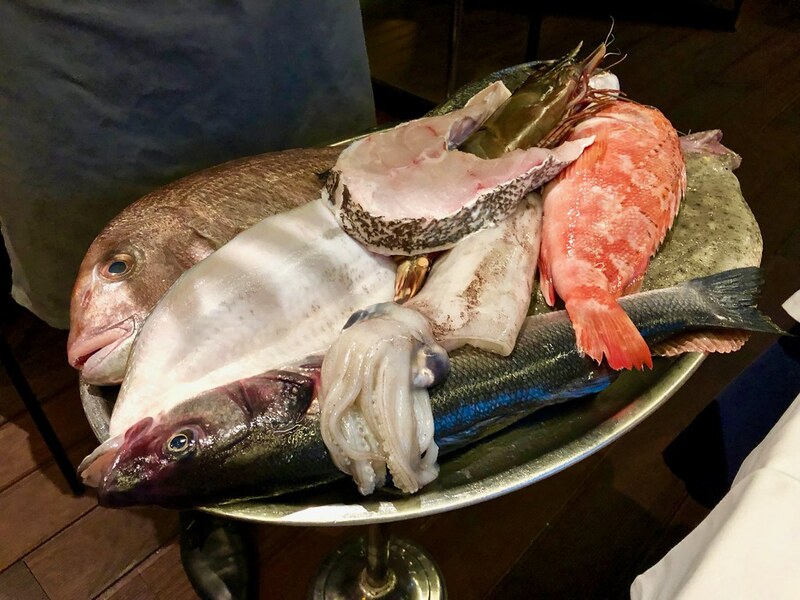 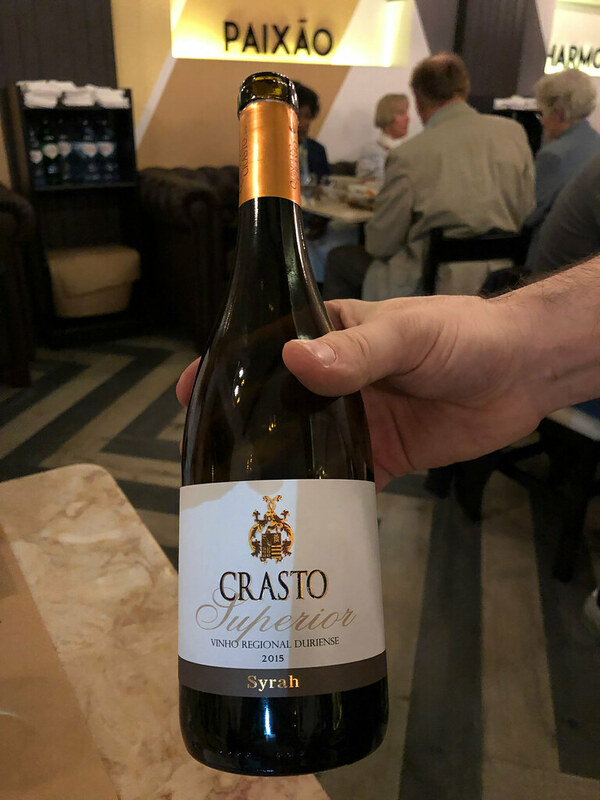 Last edited by yflyer; 20th April 2019 at 05:24 PM..
A great restaurant that I would recommend to anyone visiting Lisbon! 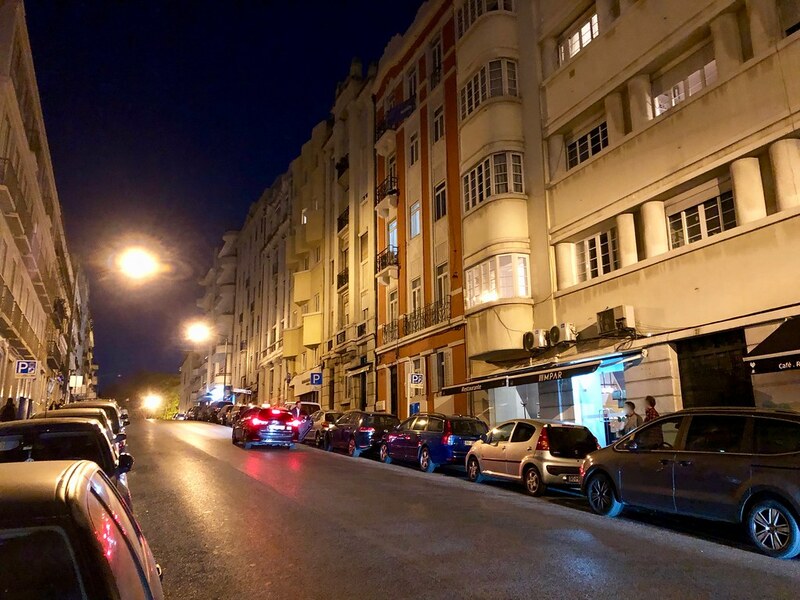 Last edited by yflyer; 20th April 2019 at 05:29 PM.. 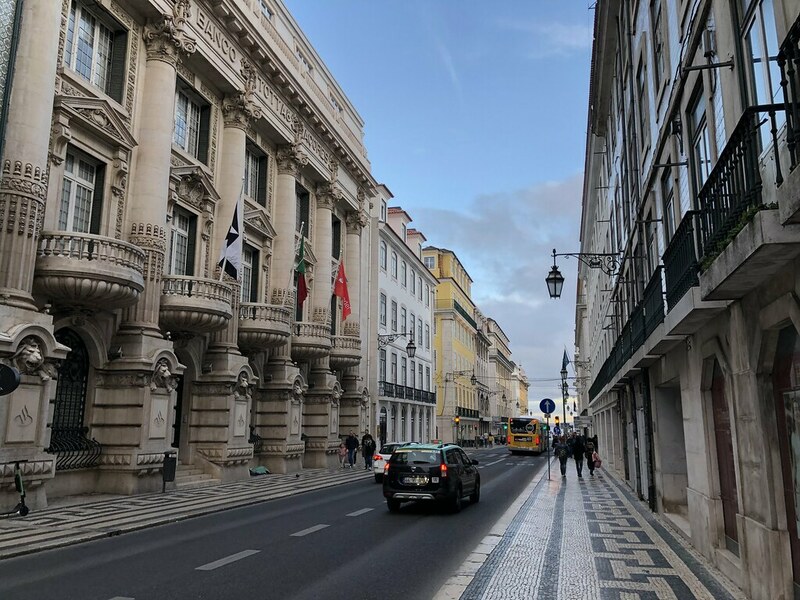 I headed for a couple of other runs while in Lisbon. 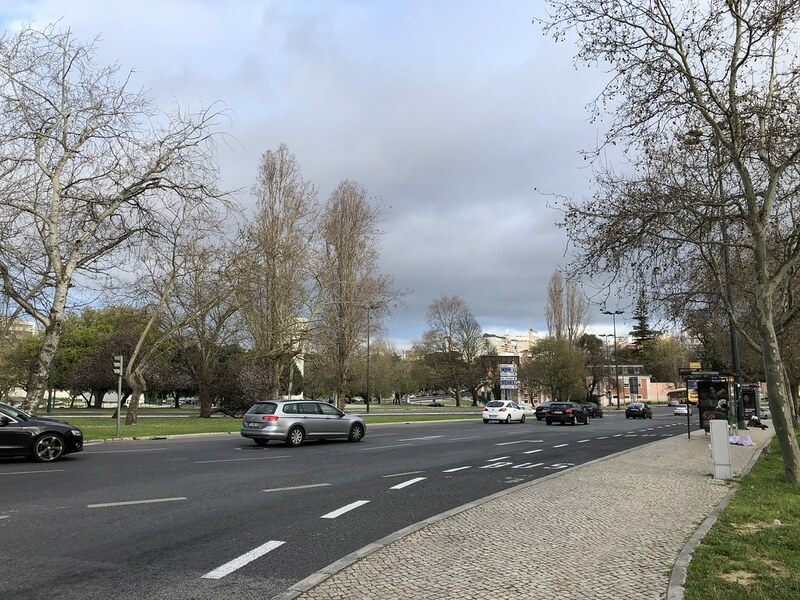 ...past the large traffic roundabout at Marques de Pombal..
...and into Baixa, the old town. 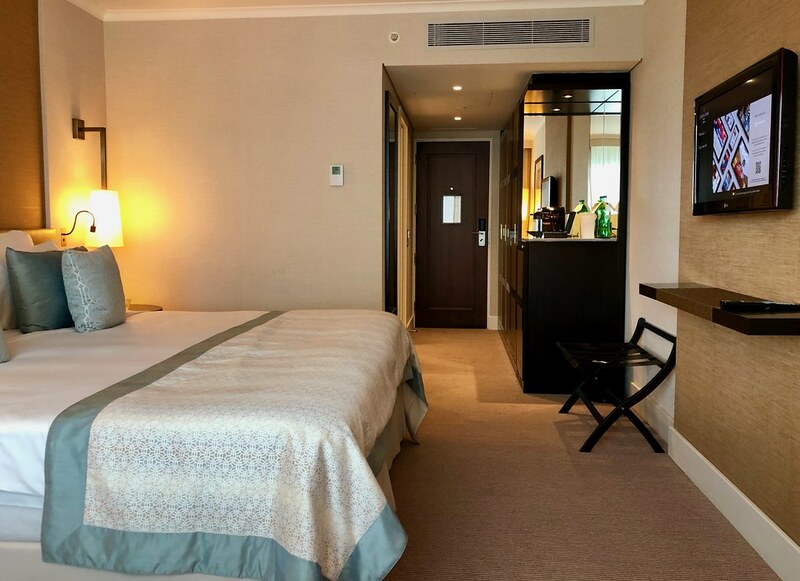 Last edited by yflyer; 21st April 2019 at 07:47 AM..